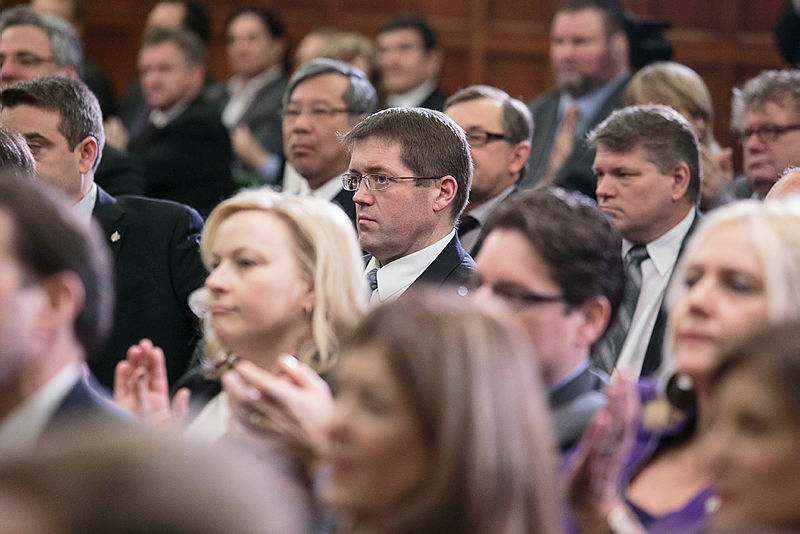 The Ontario Liberal campaign team includes David Herle, Deb Matthews, Michele Cadario, Mel Wright, Chad Walsh, Rebecca MacKenzie, Drew Davidson, Bob Lopinski, Zita Astravas, Jamie Kippen, and more. 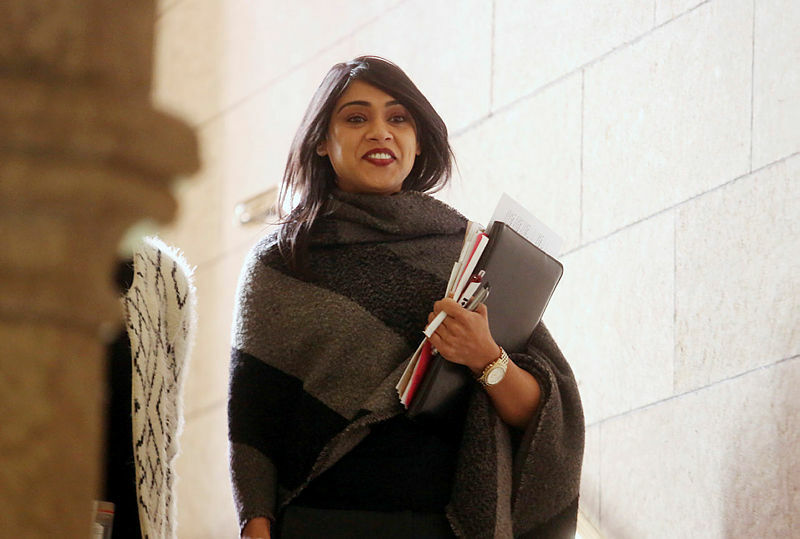 ‘PMO relies on her working rapport with the multicultural outlets,’ said former Liberal staffer John Delacourt, now at Ensight Canada. 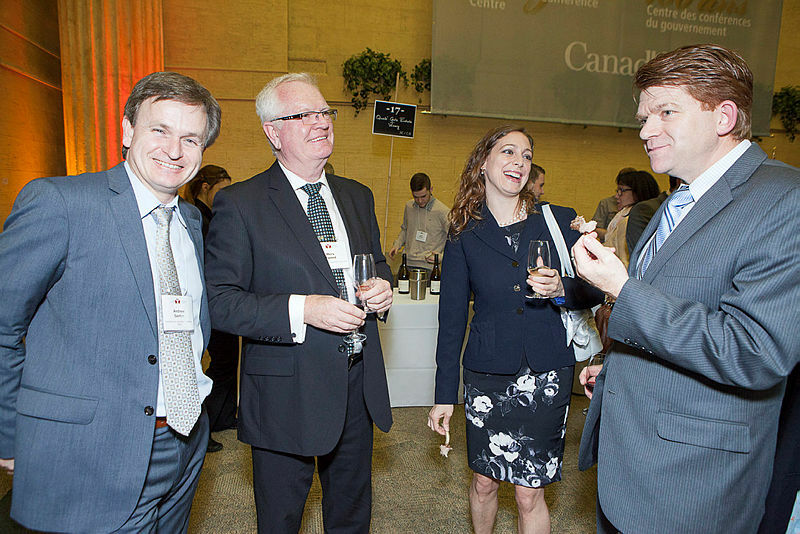 Andrew MacKendrick has been promoted from his role as press secretary in Indigenous Services Minister Jane Philpott’s office. 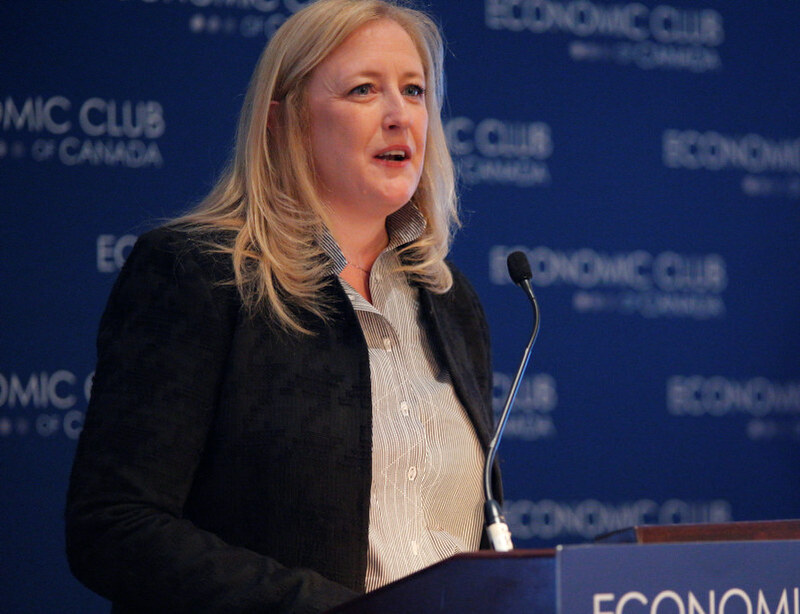 ‘We have a good foundation, and we’re continuing to build,’ says Rosemary Barton. 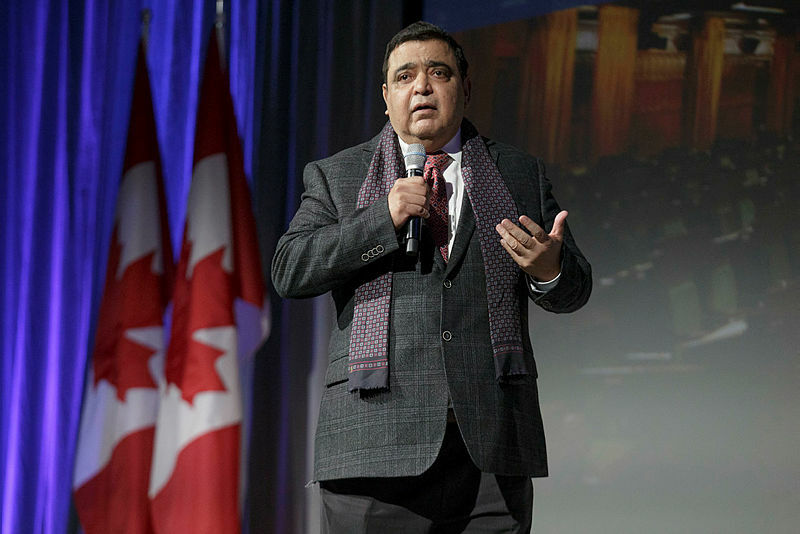 Sports and Persons with Disabilities Minister Kent Hehr has also officially named a new chief of staff. 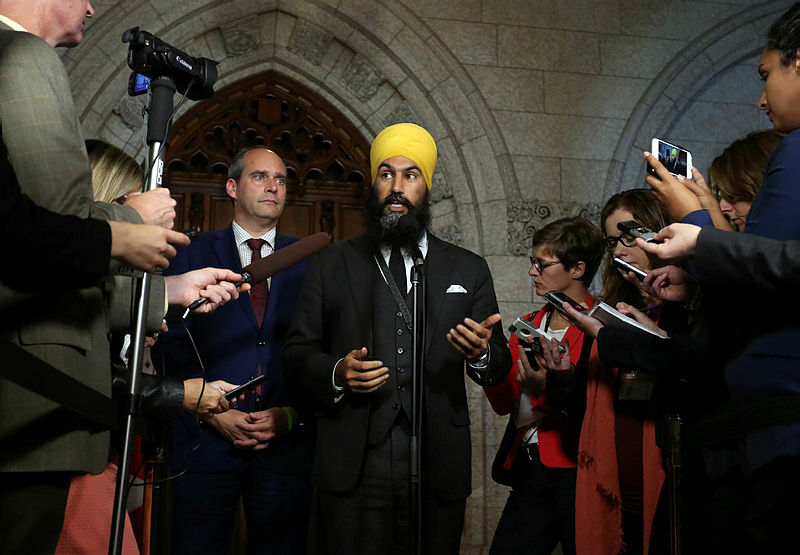 New NDP leader Jagmeet Singh has indicated he may wait until the next general election in 2019 to run for a seat, which would follow the example of past NDP leaders. 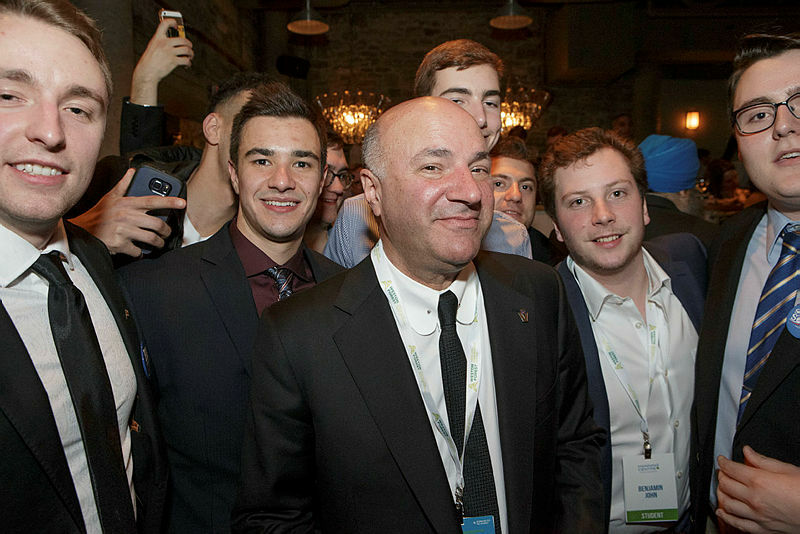 Until Kevin O’Leary can clear away his political debts, he may haunt us still. 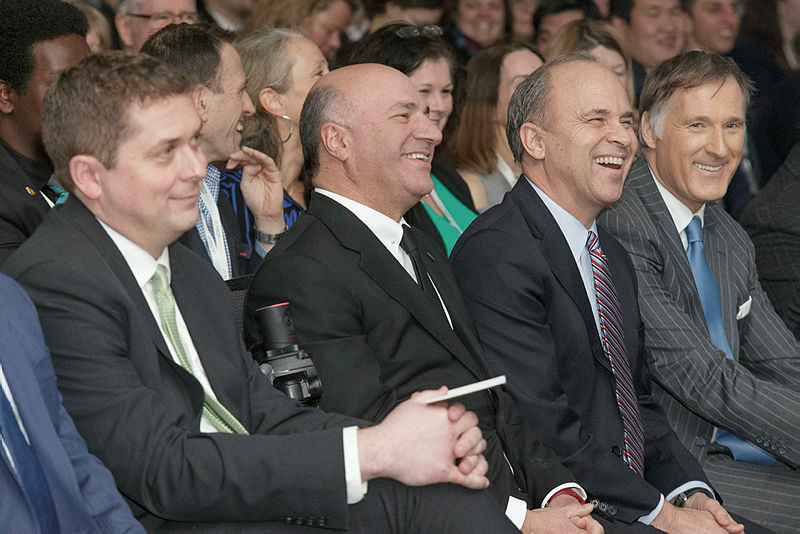 This must terrify some in the Conservative leadership team. 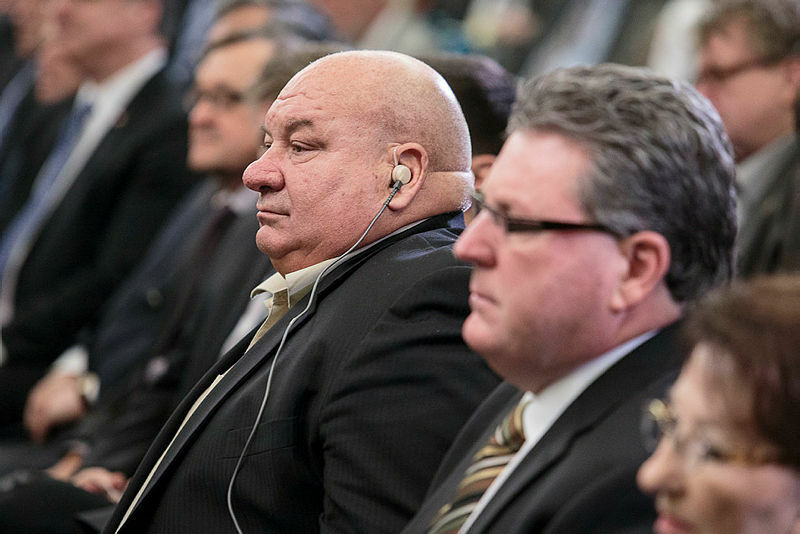 Former Senate ethics officer Jean Fournier said recent controversy underlines a need for Parliament to carefully review the Conflict of Interest Act. 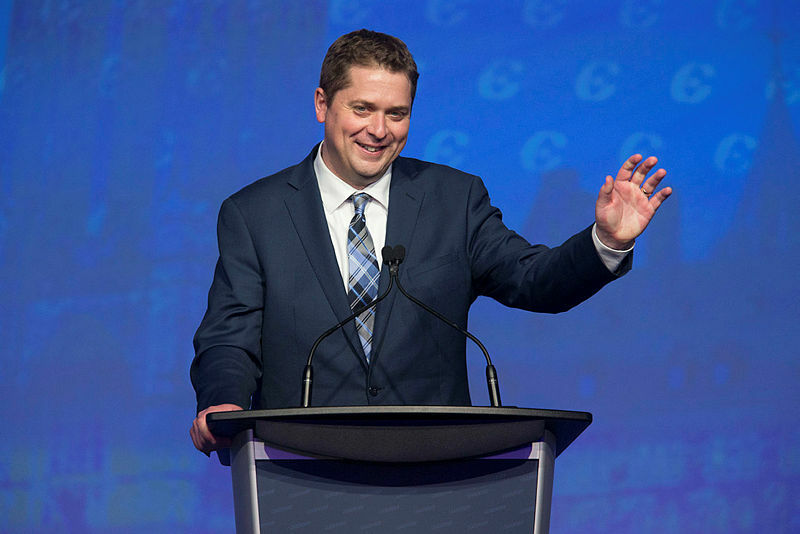 The Conservative Party praises Dominion Voting for its software, but an election expert is raising security concerns and has condemned the party's choice to destroy the paper ballots. 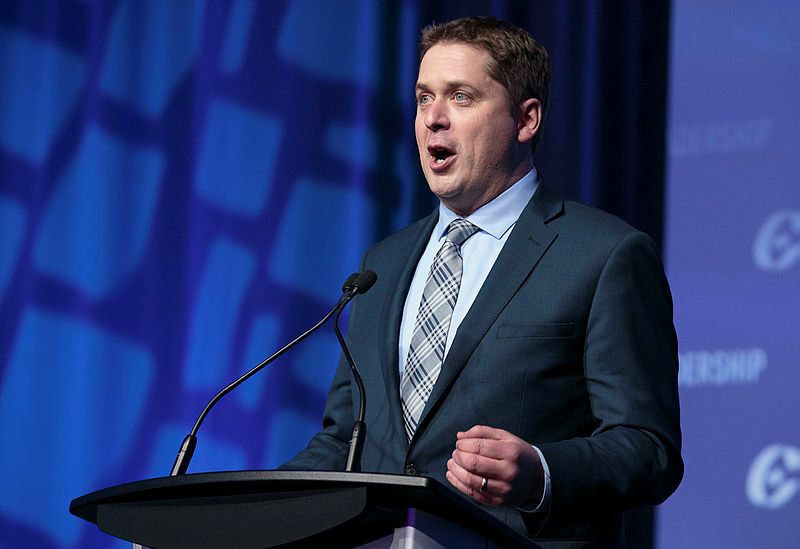 Andrew Scheer may have dairy farmers and social conservatives on his side. But Canadians? 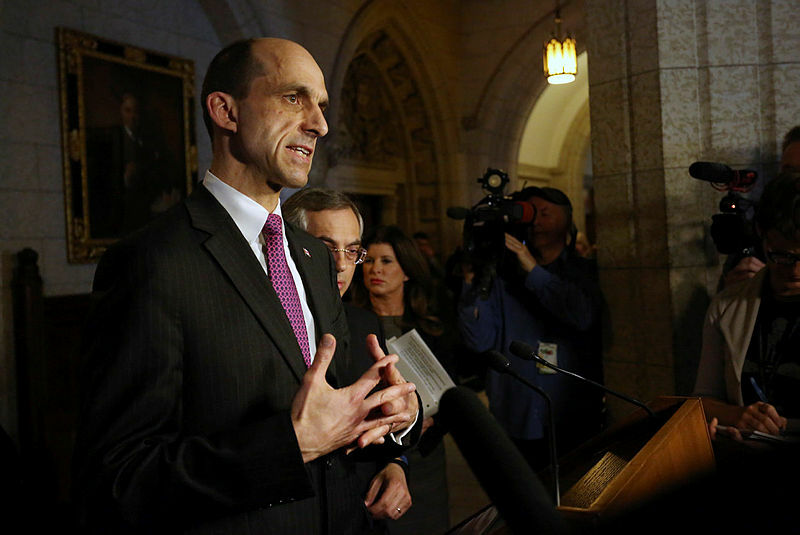 Conservative voters showed that abrasive politicians aren't in vogue on this side of the border. 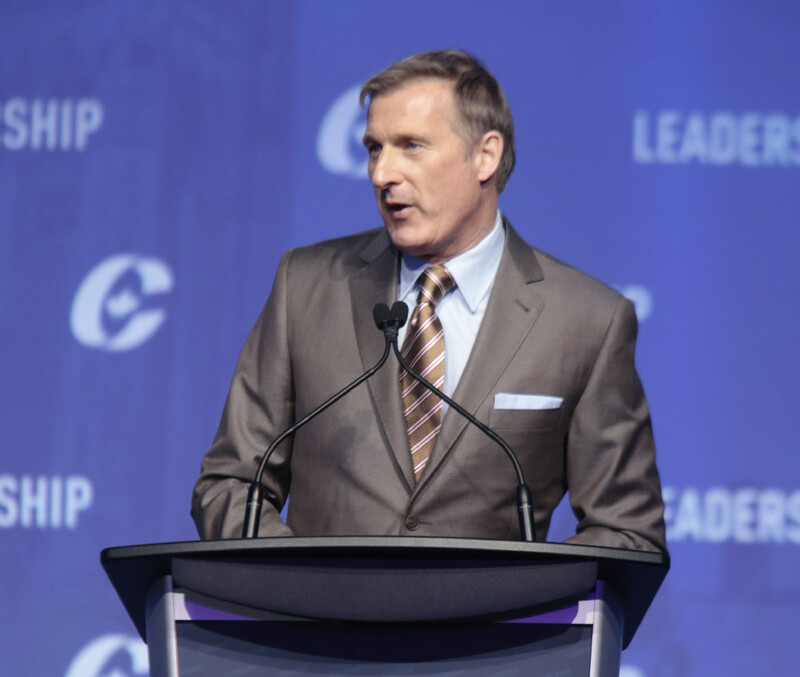 Seventeen caucus members had endorsed Maxime Bernier, while Scheer had almost double. Generating fresh ideas, not party unity, is the real challenge for the Tories. 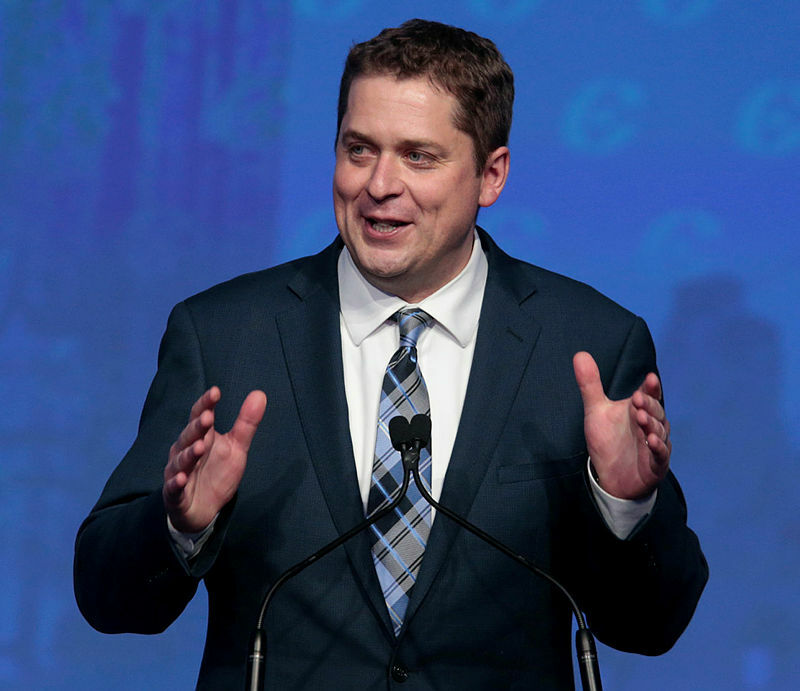 Mr. Free Speech seems only in favour of free speech for those with whom he agrees. A narrow victory means the new party chief will have to extend olive branches in all directions, says a member of one rival campaign. 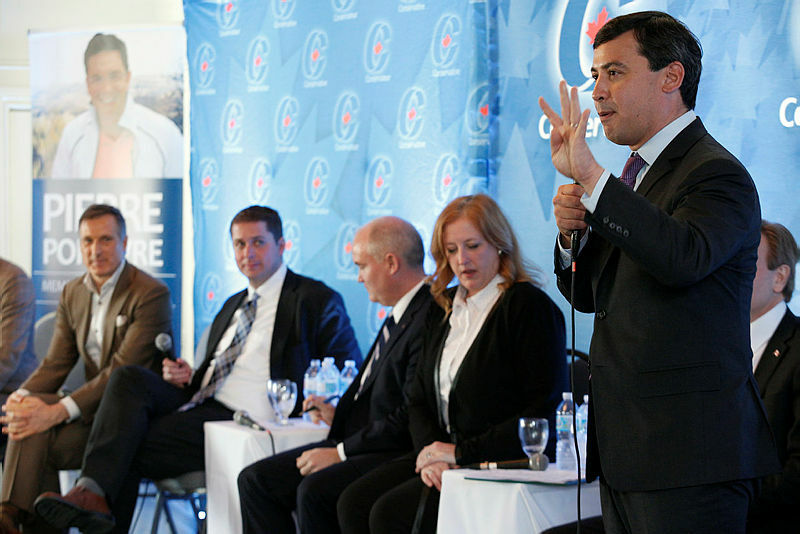 The crowded field of candidates and the complicated voting system confused a lot of Conservative Party members, say some Conservatives. The party will review what worked and what didn’t once the convention is over. 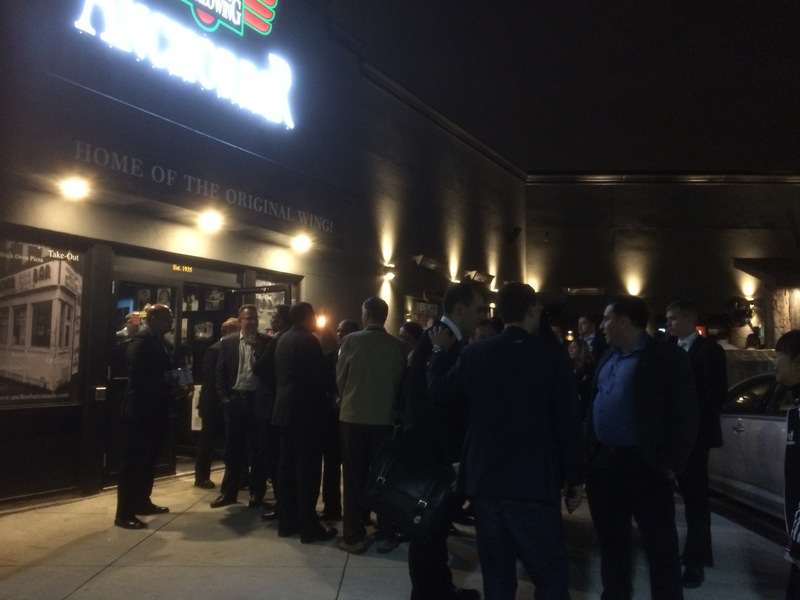 Conservative leadership candidates Erin O'Toole and Maxime Bernier attracted big crowds by renting out entire restaurants. 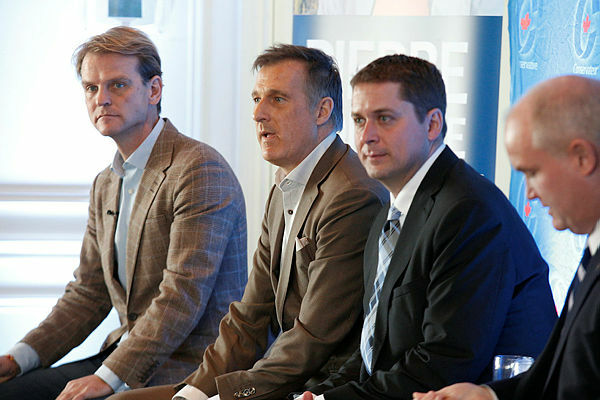 'What’s really going to be interesting is whoever wins is not going to be the overwhelming first choice of the party, because no one is going to win 50 plus one [per cent support] on the first ballot,' predicts Conservative strategist and vice-chairman of Summa Strategies, Tim Powers. 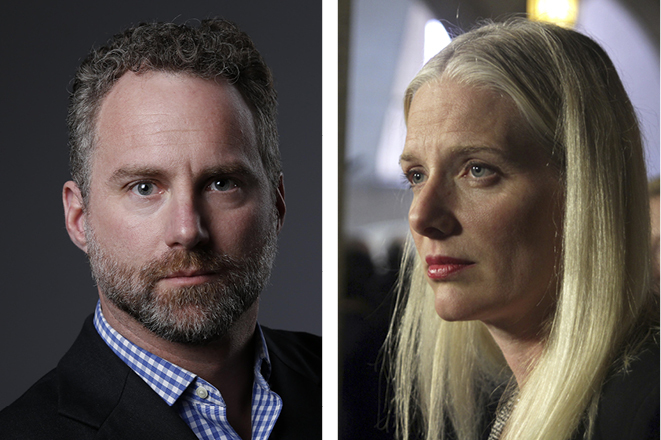 Three of every four Canadians polled said they approved of the agricultural system, the survey shows. 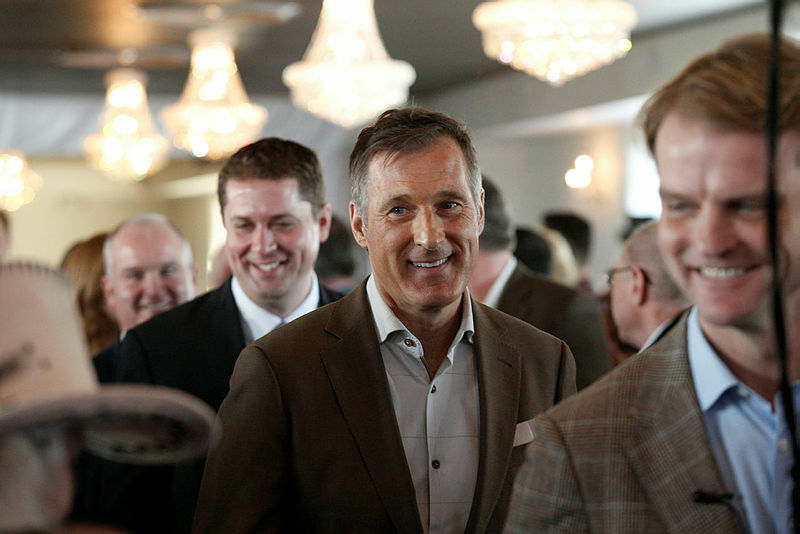 Most say they would bet on Maxime Bernier, but there’s ‘still room for the underdog,’ as Chris Alexander puts it. Remember: how you start your leadership is as important as how you finish the race. Do it right. 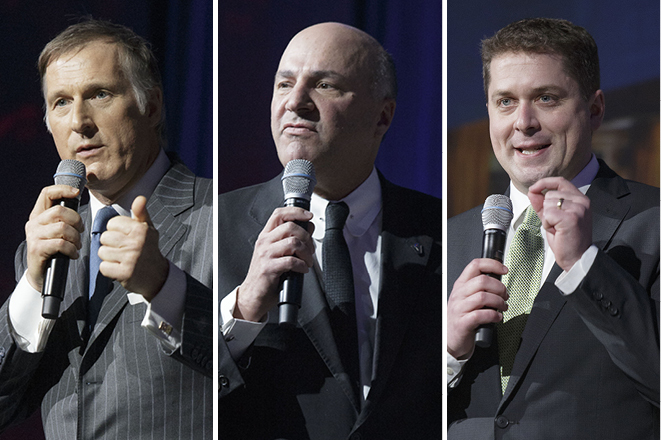 About 2,000 Conservatives are expected to attend the party's leadership convention this weekend. 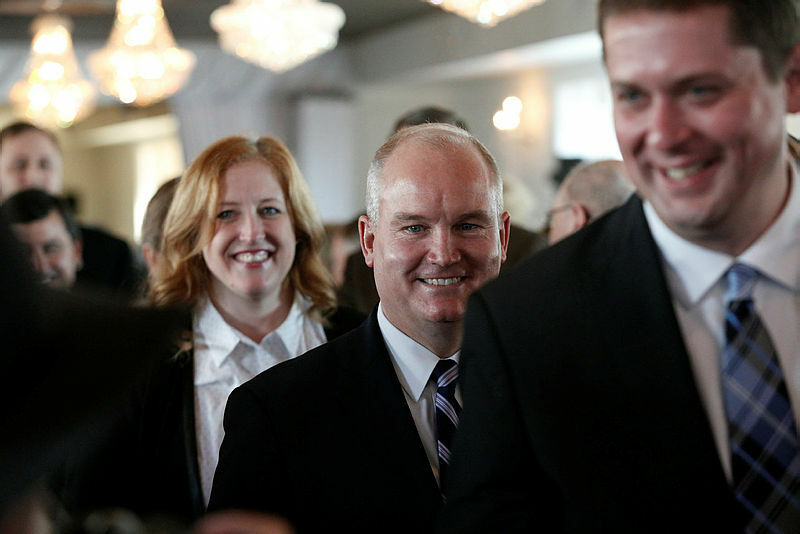 Erin O'Toole has the most caucus endorsements, from 31 MPs, and four Senators. Get-out-the-vote efforts will target thousands of party members invested in abortion, supply management. 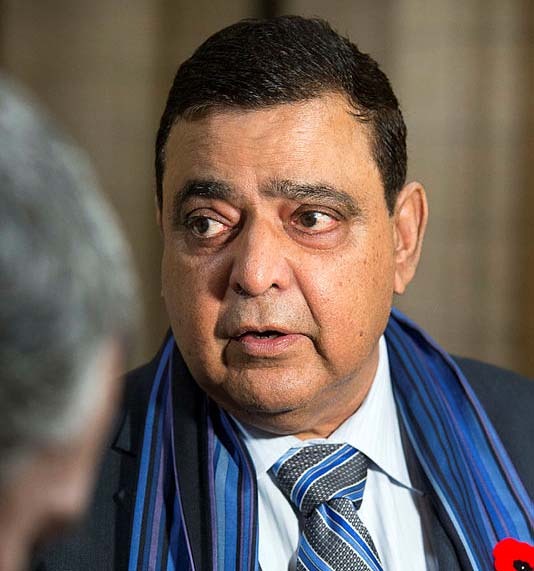 Ex-Liberal Senator Pana Merchant appears to have donated to Conservative contender Andrew Scheer. 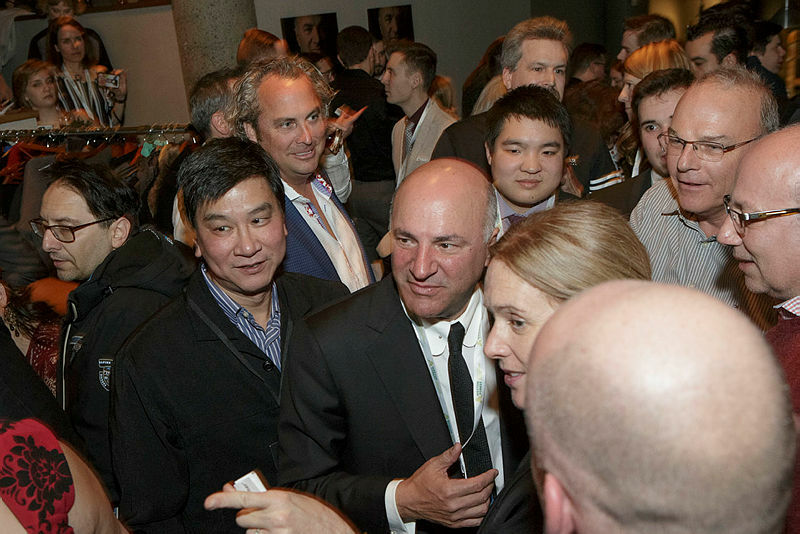 Some Conservative MPs question the assumption that most of Kevin O’Leary’s 35,000 supporters will vote for Maxime Bernier. But right now, it's his race to lose. 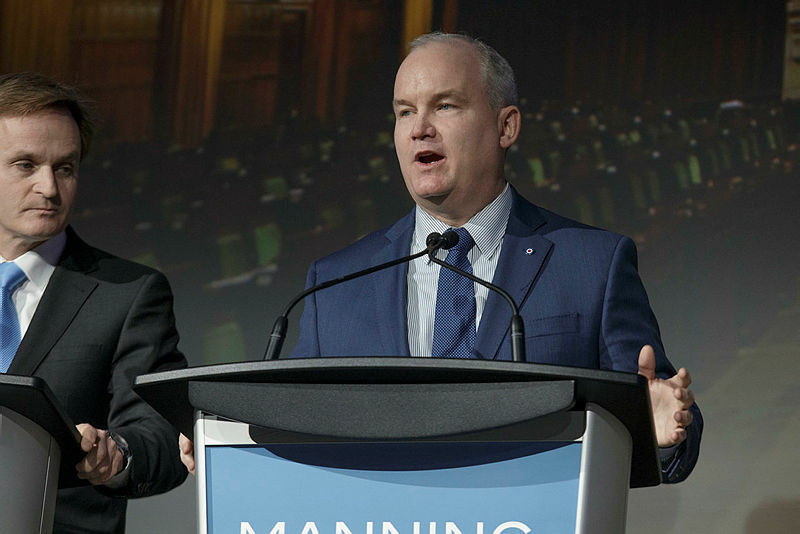 He was to the Liberals what Michael Ignatieff was to the Conservatives: a dream opponent. They may not follow him so easily into the Bernier camp. Some campaigns sacrificed data to save cash; 100,000 new members are now fair game for email blasts. 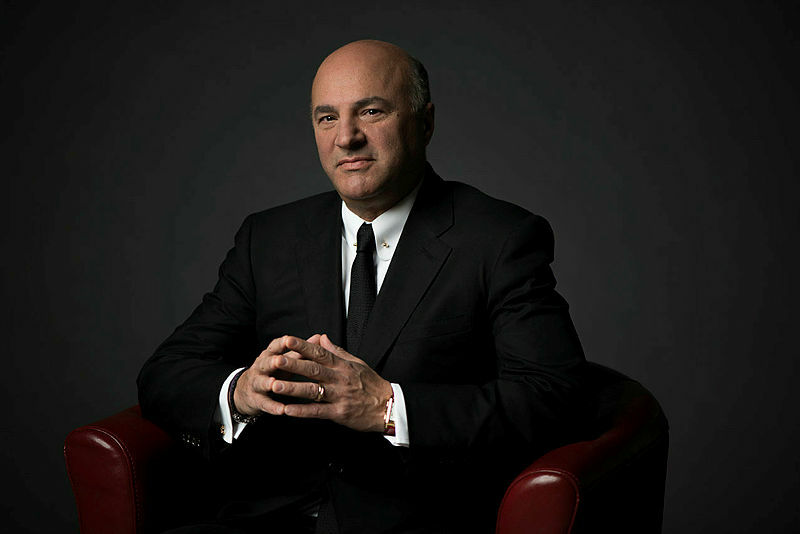 And Kevin O'Leary discovered that political life is really a lot more difficult than most business people realize. 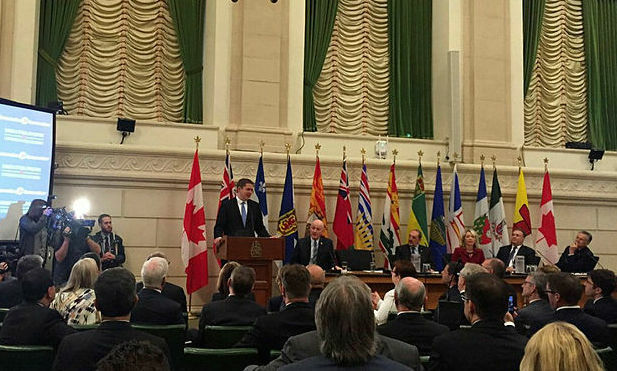 Rank-and-file party members are said to be ‘mad’ at former Harper cabinet ministers, like Peter MacKay, John Baird, and Jason Kenney, who they feel would have fared better in an election than who’s left. 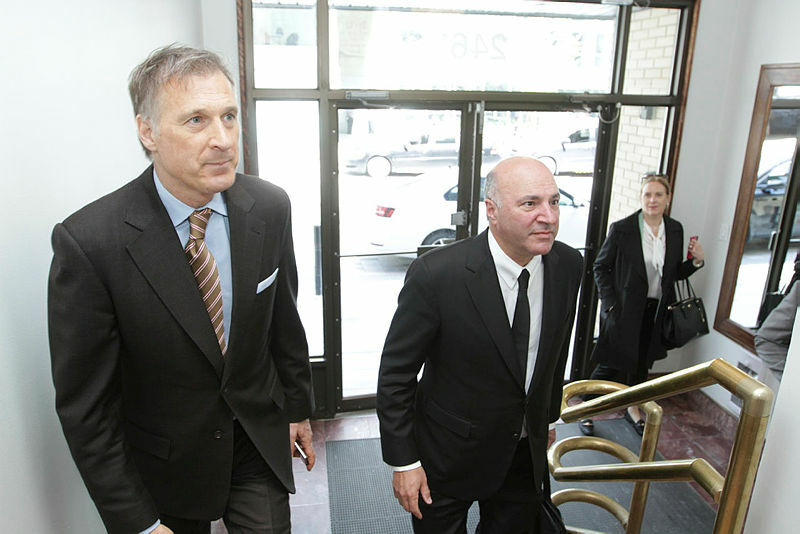 'I’m going to do everything I can to ensure he gets elected,’ O’Leary says of Bernier. 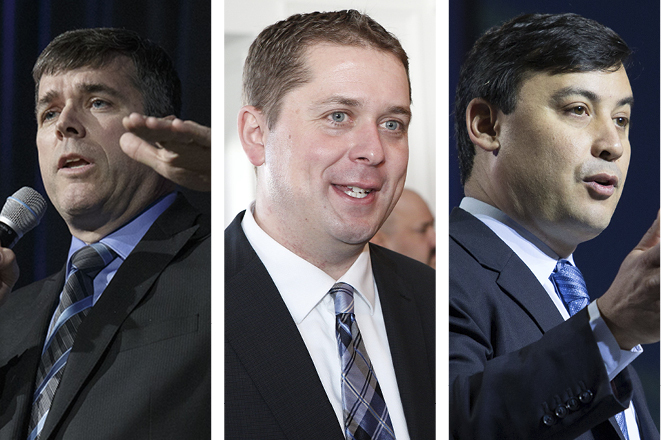 Scheer, Chong, and Blaney score photo-ops defending Quebec’s sacred cows. 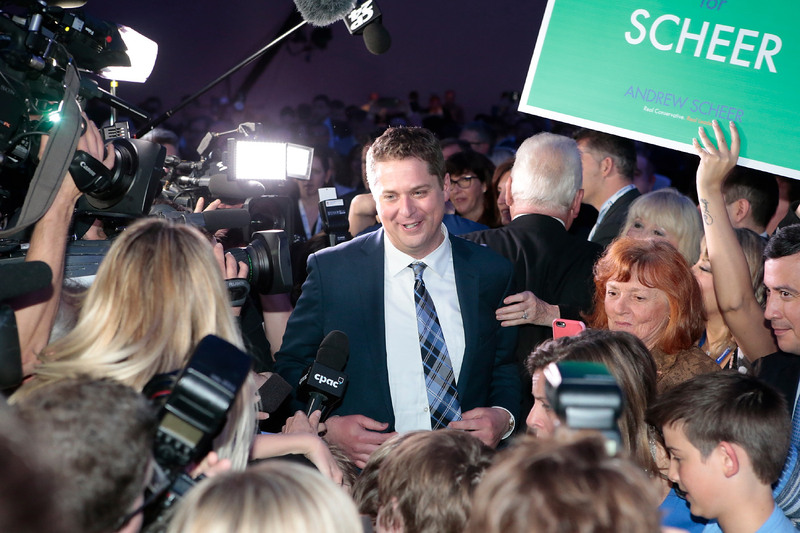 Nearly three-quarters of caucus has endorsed a candidate; Scheer and O’Toole are neck and neck. 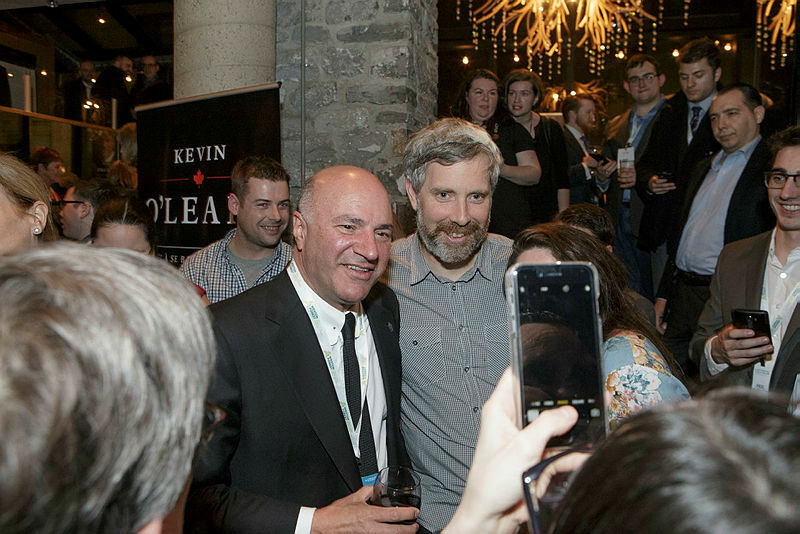 O'Leary, who had four caucus supporters, announced he's quitting the race and supporting Bernier. 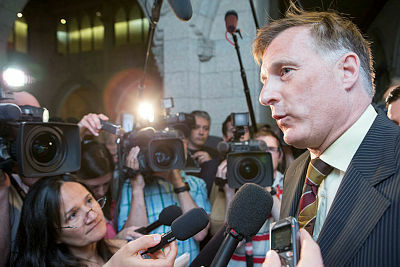 Former ministerial chief of staff Steve Outhouse is campaign manager. 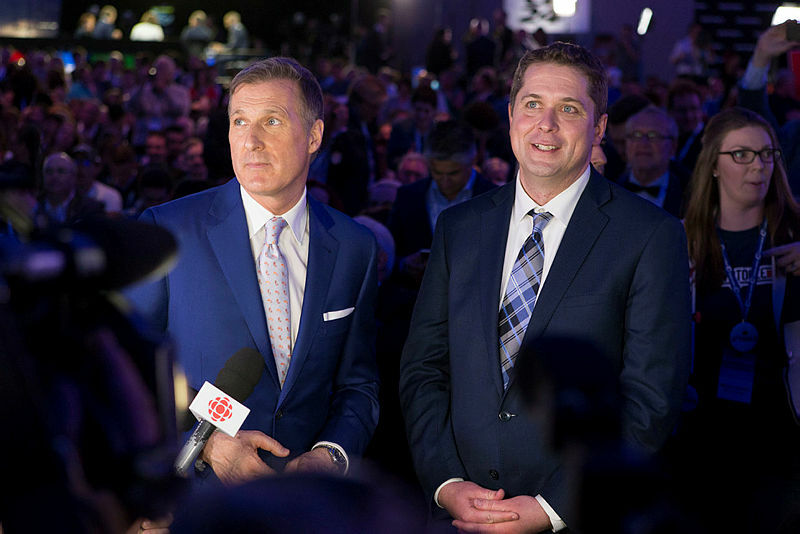 Conservative Party members should elect a Quebecer to lead the party in the 2019 election which will help the party in winning more seats in Quebec, says former Conservative MP John Reynolds. 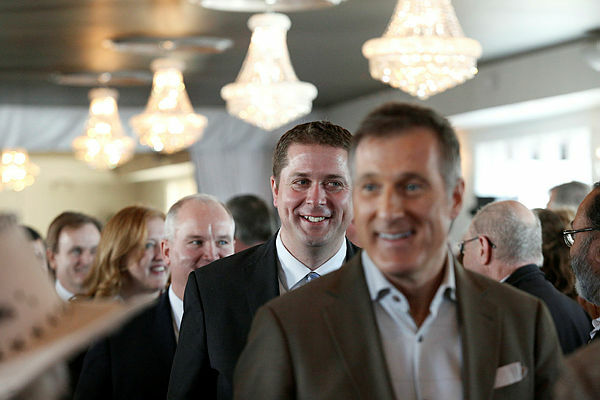 Rather than launching black helicopters, those concerned Conservative MPs and other party advocates should go to these Scott Gilmore dinners, listen, and participate. Show a willingness to encourage conversation and a hear diversity of views. 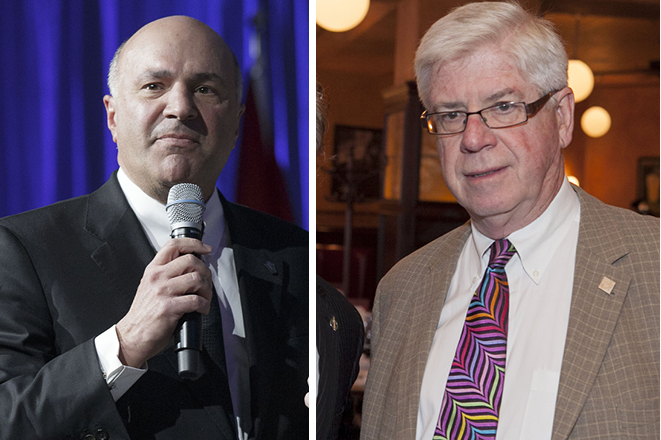 Five engineers and two Toronto men say they have helped to sign up thousands of new members to oppose Leitch, O'Leary, and others. 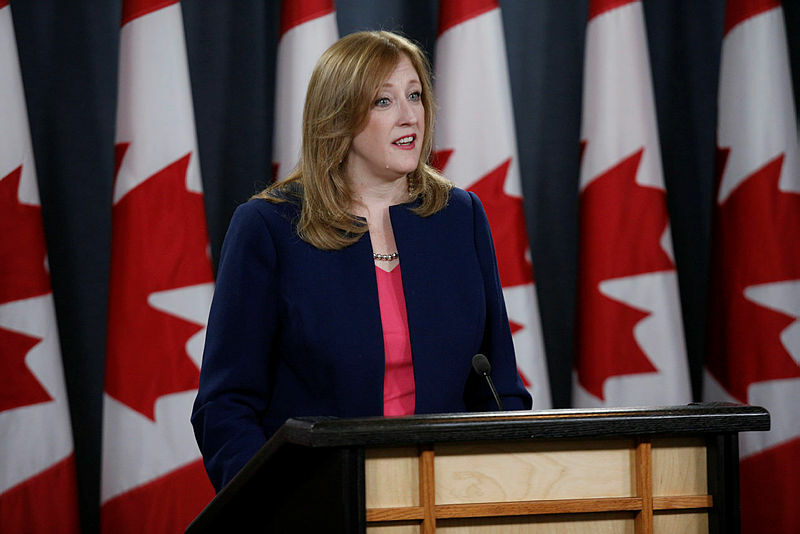 Lisa Raitt’s leadership team is 'decentralized,' with a campaign manager based out of Toronto. 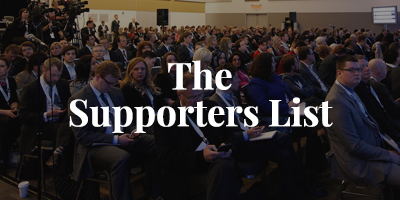 Rival candidates’ and their strategists’ outreach to each other started after the membership-signup deadline of March 28. 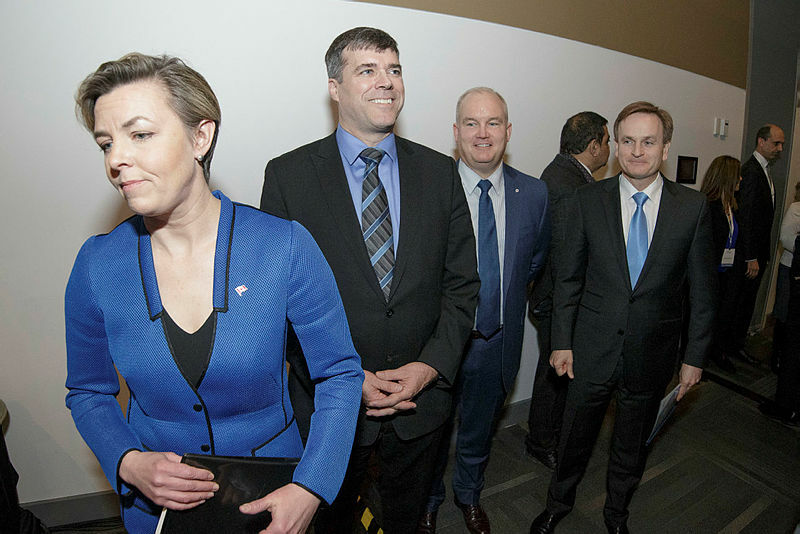 Values, sure, but why does Leitch get to decide what they are? 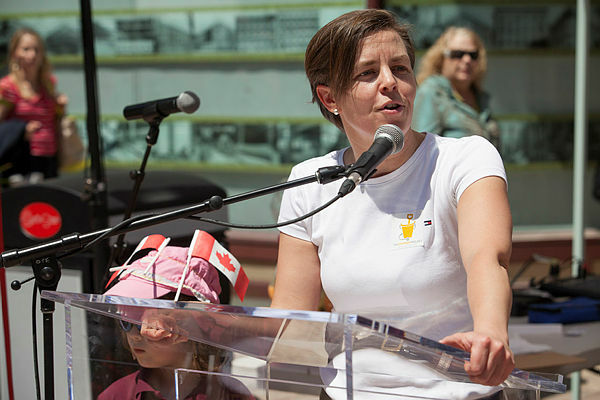 Kellie Leitch has a point about building a cohesive society, but how do you test immigrants for values? ‘It doesn’t matter if I’m married to Fidel Castro or to Bill O’Reilly. 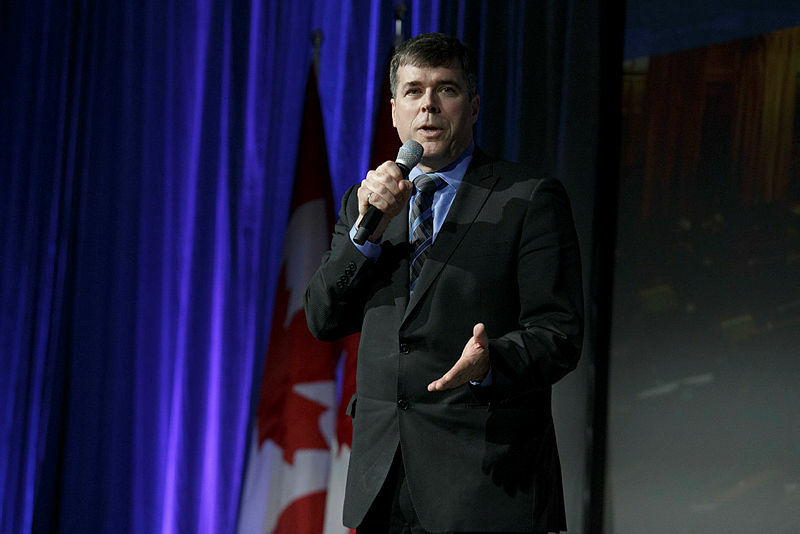 What matters are the ideas and the reaction to those ideas,’ Scott Gilmore responds. 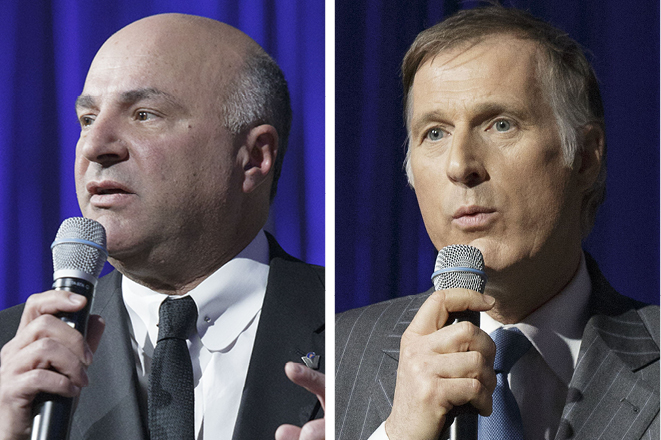 Maxime Bernier says the Conservative leadership race has become a two-person contest between himself and Kevin O’Leary. 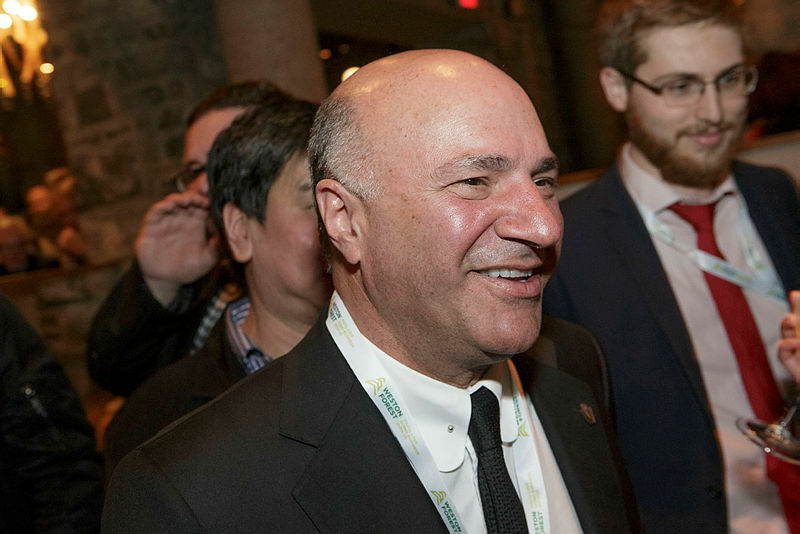 Kevin O’Leary is focused on leadership campaign and will decide where to run after the campaign is over, says press secretary Ari Laskin. 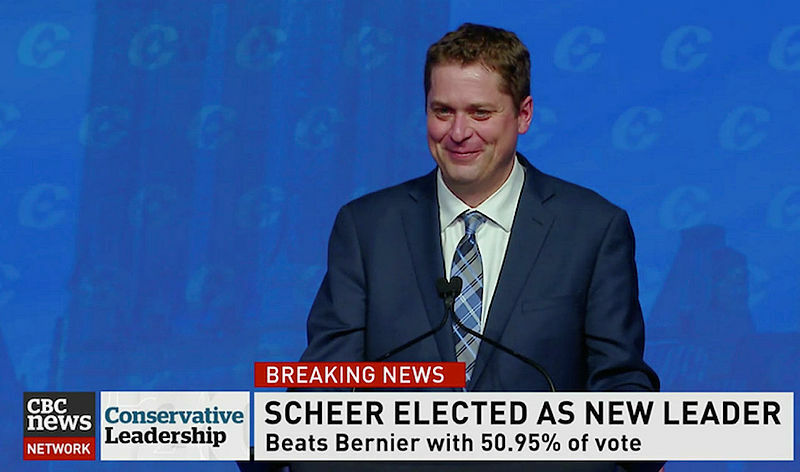 The Conservative Party will make riding-by-riding leadership results public after each ballot count, says Conservative Party spokesman Cory Hann. Politically involved Tamils say if the party doesn’t release names of those responsible, it reflects poorly on entire community. 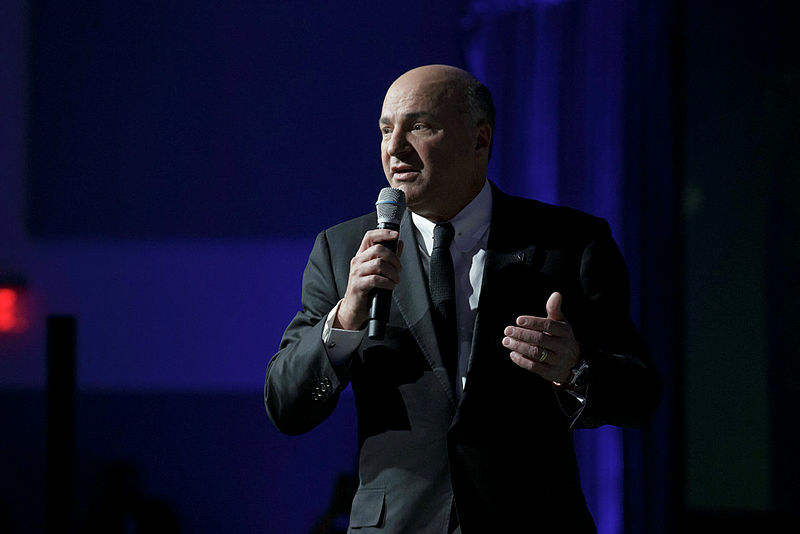 Conservative leadership candidate Kevin O'Leary said he has a '100 per cent' chance of winning the party's leadership. 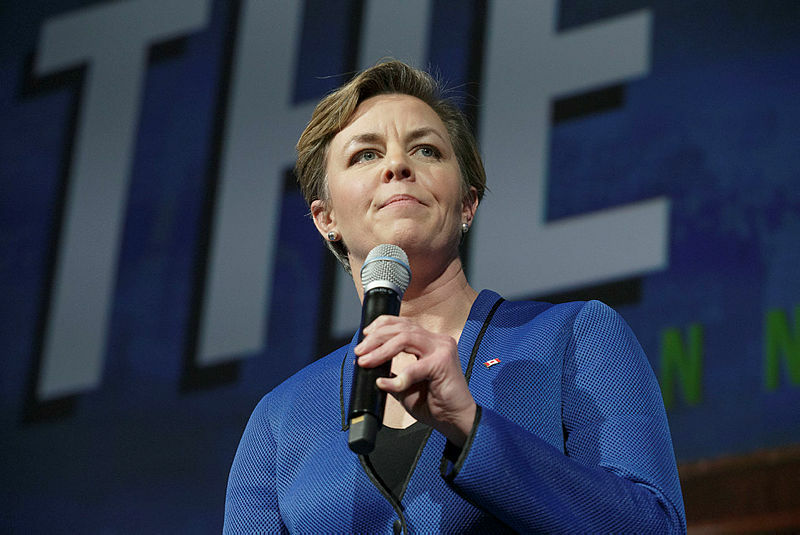 Conservative leadership candidate Kellie Leitch promises 'a common sense approach to firearms regulation,' in email blast to her supporters. 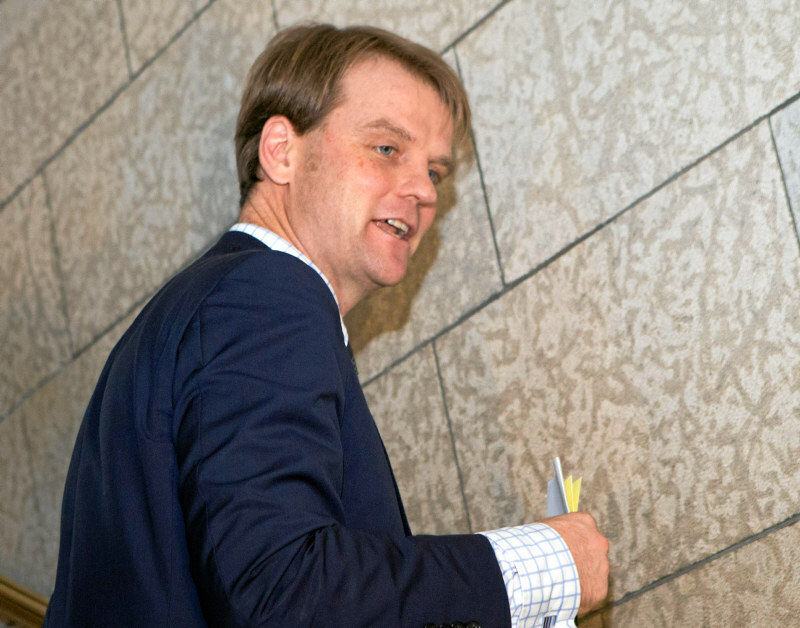 'Nothing wrong will happen under my watch,' Conservative Party's Dustin Van Vugt tells Conservative MP Bob Saroya. 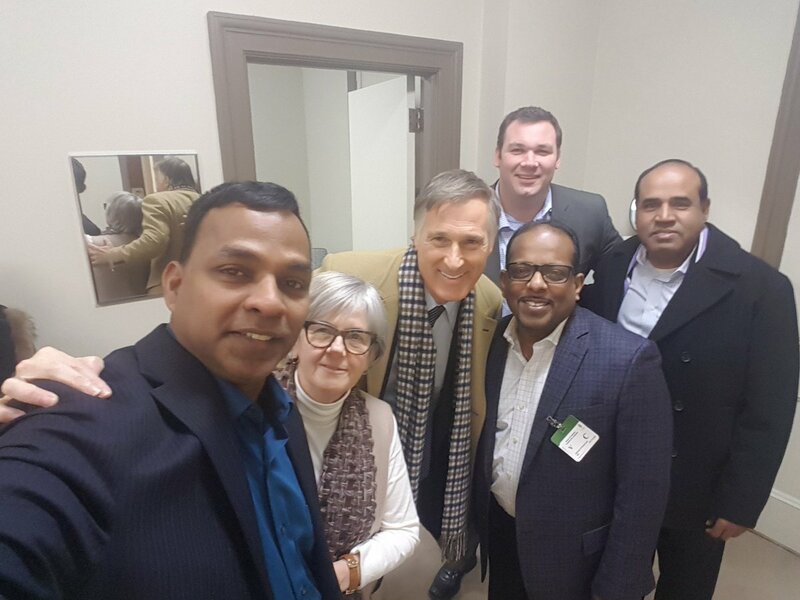 An Ontario PC party organizer investigated his team for phoney memberships in a 2010 nomination race, but the party cleared him and allowed him to run. 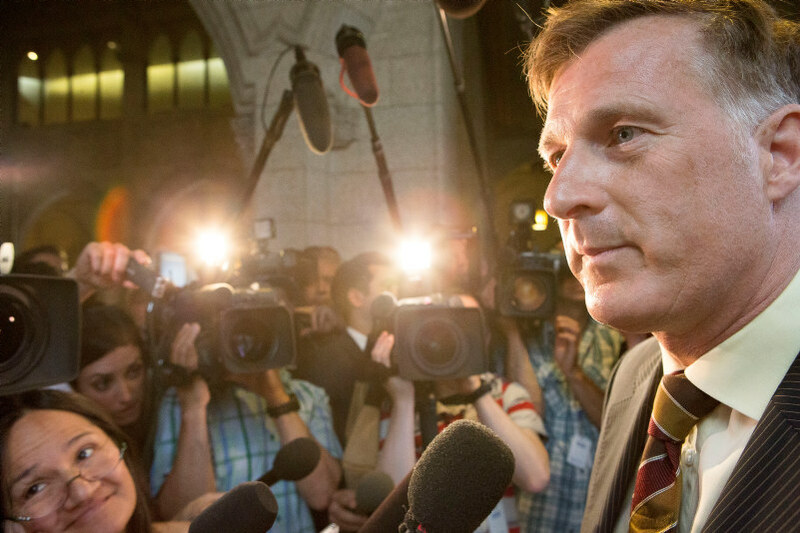 Bernier's camp says it's confident there was no wrongdoing. 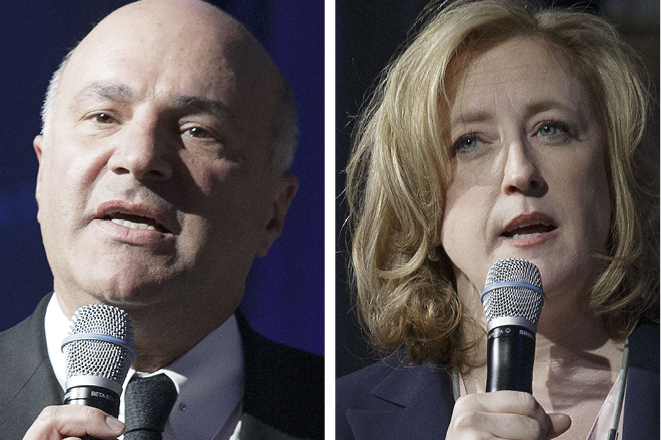 Lisa Raitt says Kevin O’Leary is ‘wrong’ for Canada and the Conservative Party, but she is willing to turn the other cheek if he becomes leader. 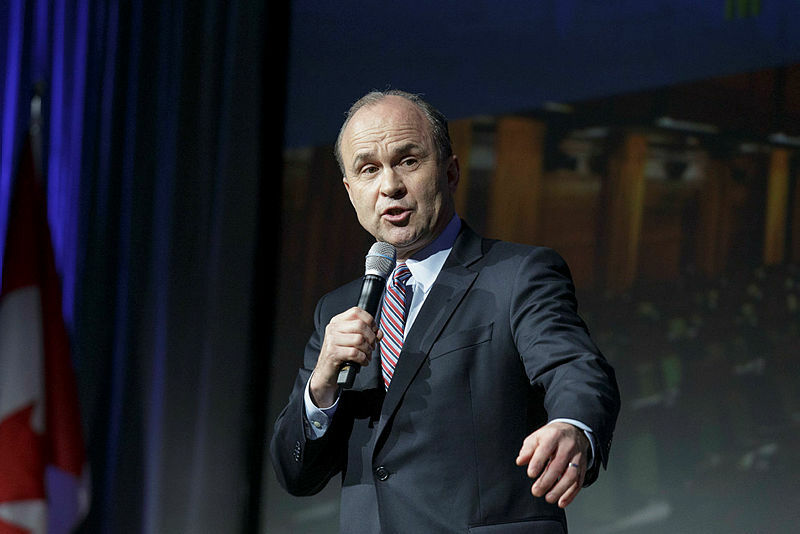 The businessman-turned politician says he learned that fake memberships are being sold to people who might not even be aware that they’re being signed up. 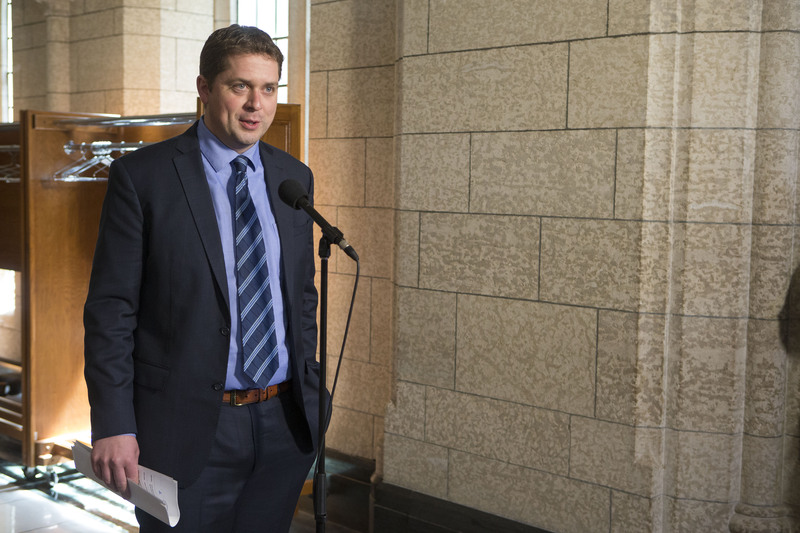 Conservative Party members want the 14-month long Conservative Party leadership process to be over and want to get the party ready for the next election. 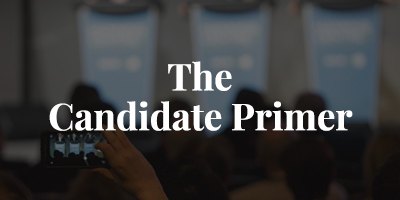 There's no guarantee that the winner will be a candidate the party establishment supports. 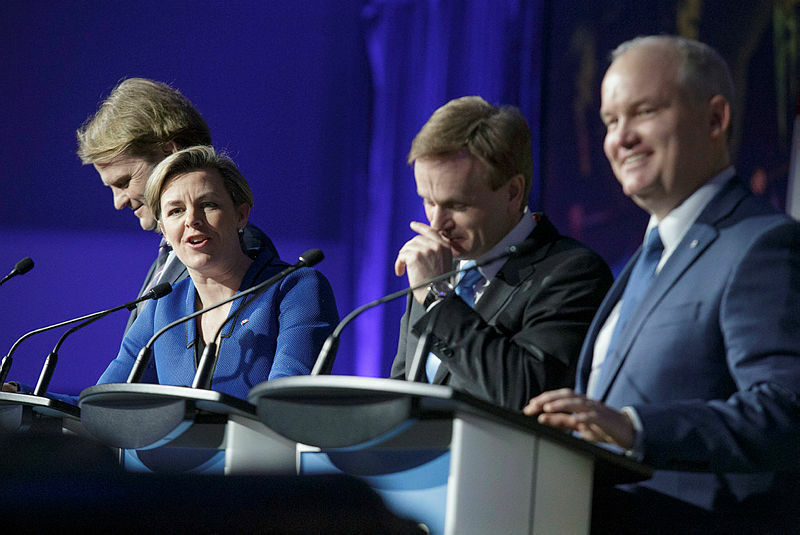 The question which Andrew Coyne ignores is can a Keeper Conservative Party (or for that matter a Keeper NDP) take on a Keeper Liberal Party and win? 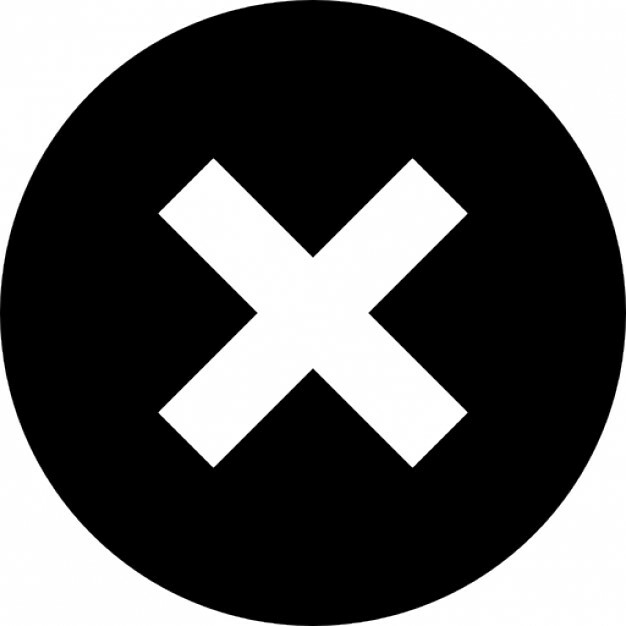 Remember in a bipolar political world, if voters turn against the Keepers they will seek out the alternative: The Disrupters. Just ask Trump, just ask Rob Ford, just ask Brexit. 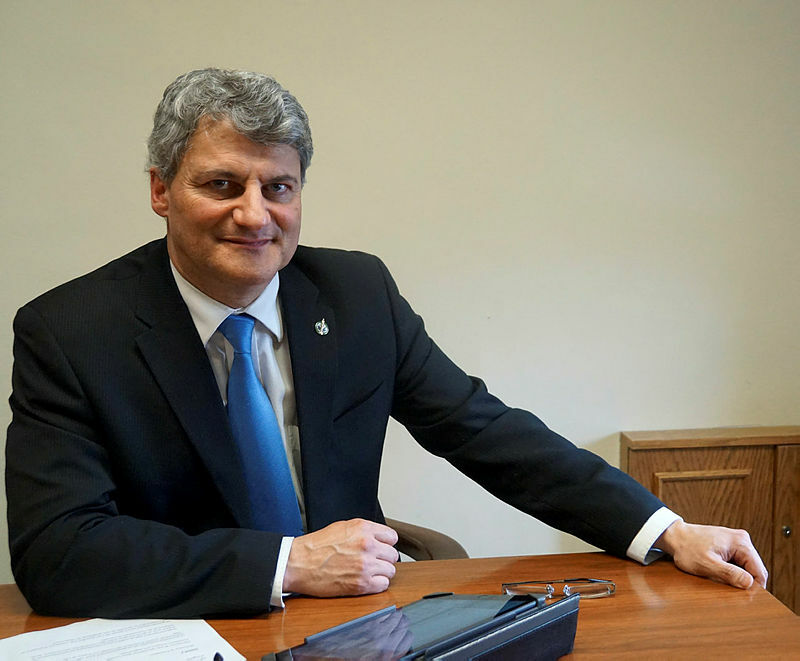 The Conservative Party is 'very lackadaisical' on transferring money back to leadership candidates and the leadership election ballot papers allow party members to rank only 10 of 14 candidates, says Joseph Ben-Ami. 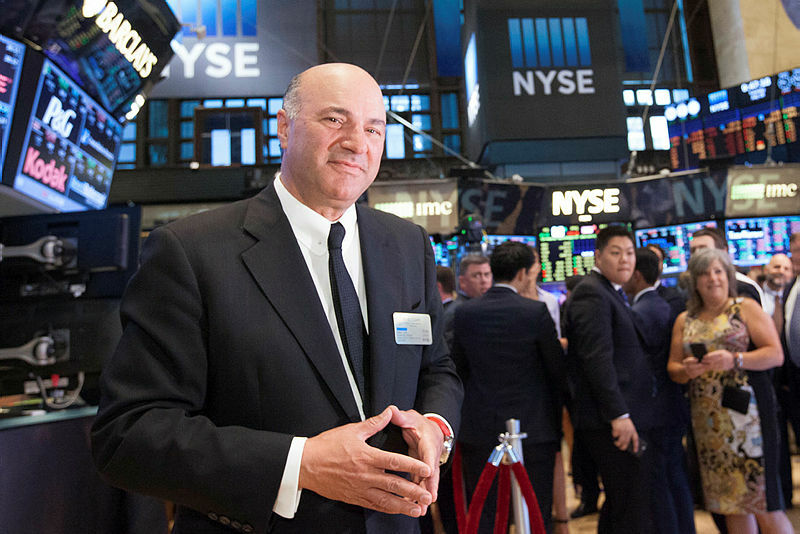 There is no quick cure, of course, and nothing very new in O’Leary’s sketchy platform. Neither party has found a candidate who is speaking intelligently about the real challenges facing the country. 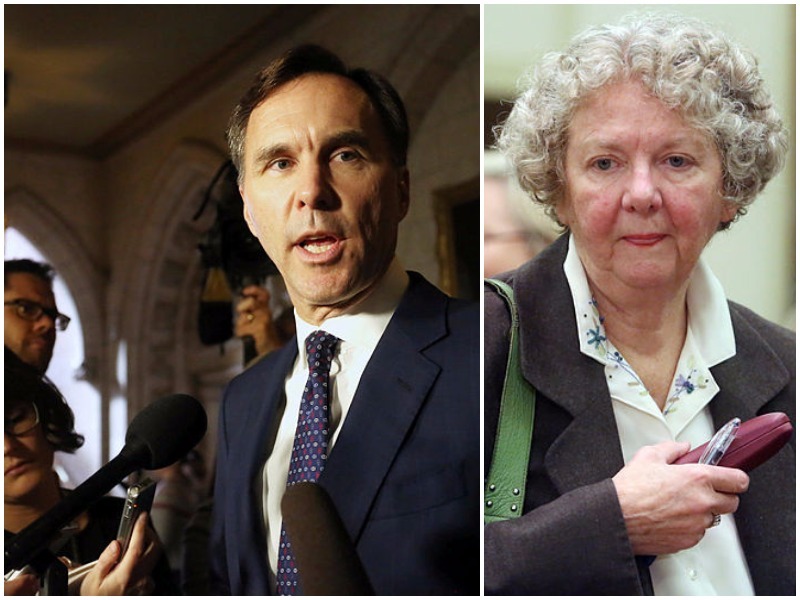 This is giving the Trudeau government a free ride. 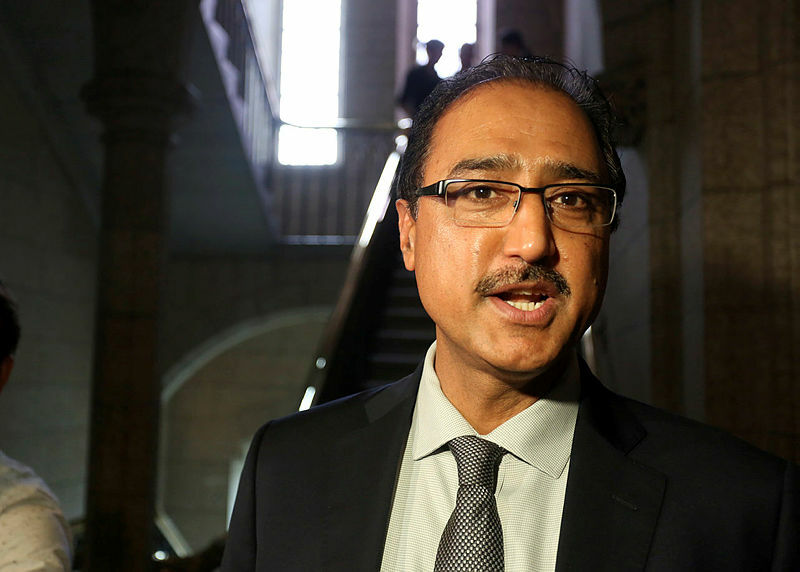 Influential in his home province, he’s shot through the Conservative ranks to finance critic in his first year on the Hill. 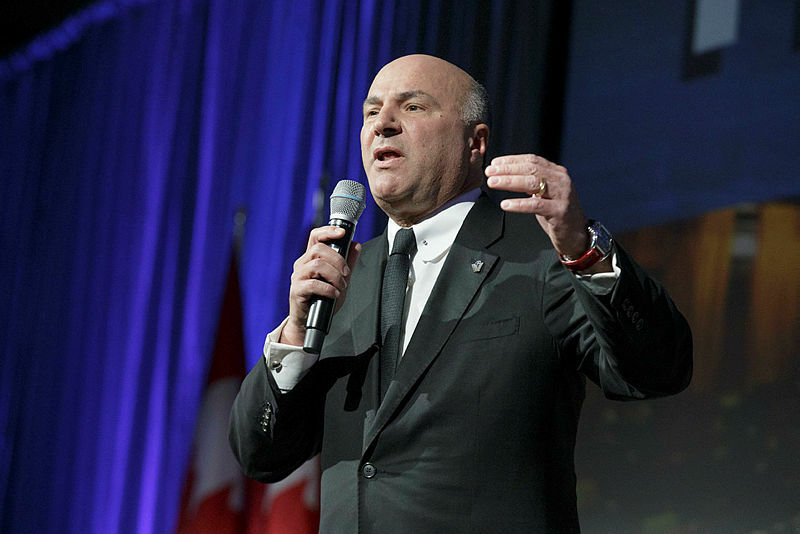 Their policy views don't jive, but O’Leary is Trumpian in that he’s got the potential for previously unthinkable political success. 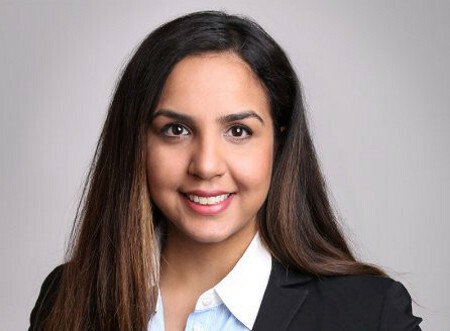 The leadership contestant has garnered the support of key community organizers from the Tamil and Sikh communities in Ontario. 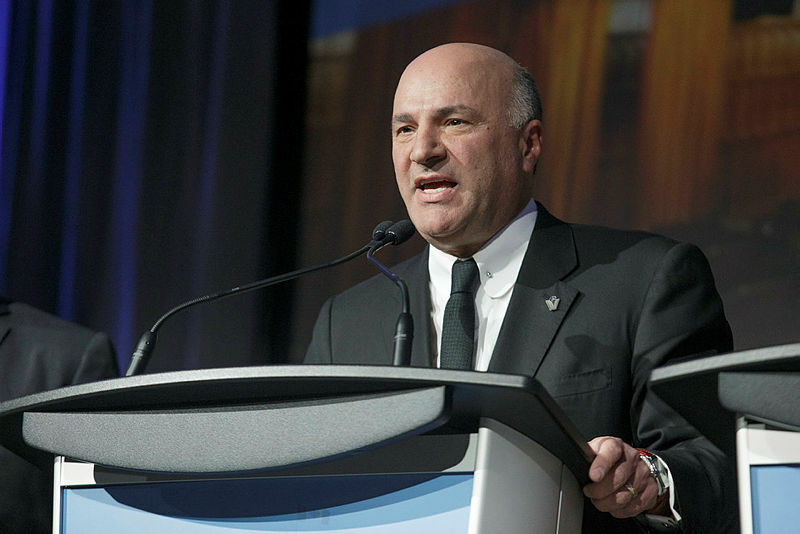 O’Leary seems to be ducking debates because they don’t benefit him. 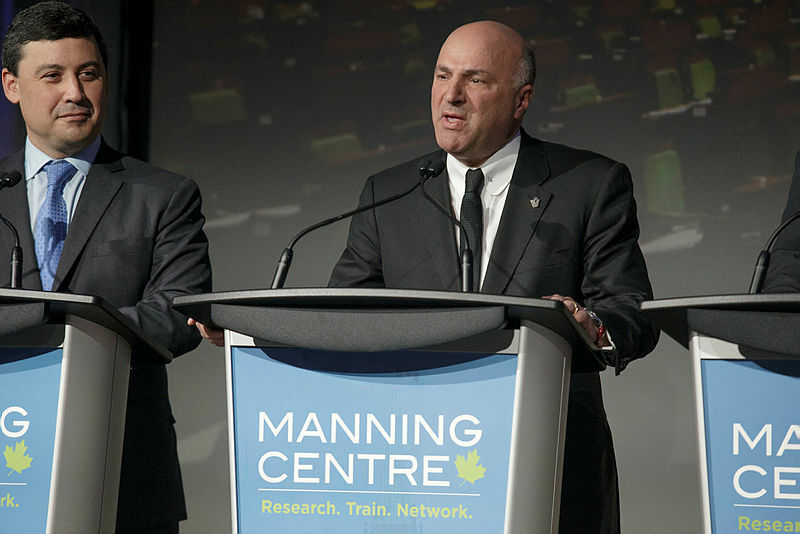 The problem is he isn’t running to be the head of the O’Leary Party, he is running to lead the Conservatives. 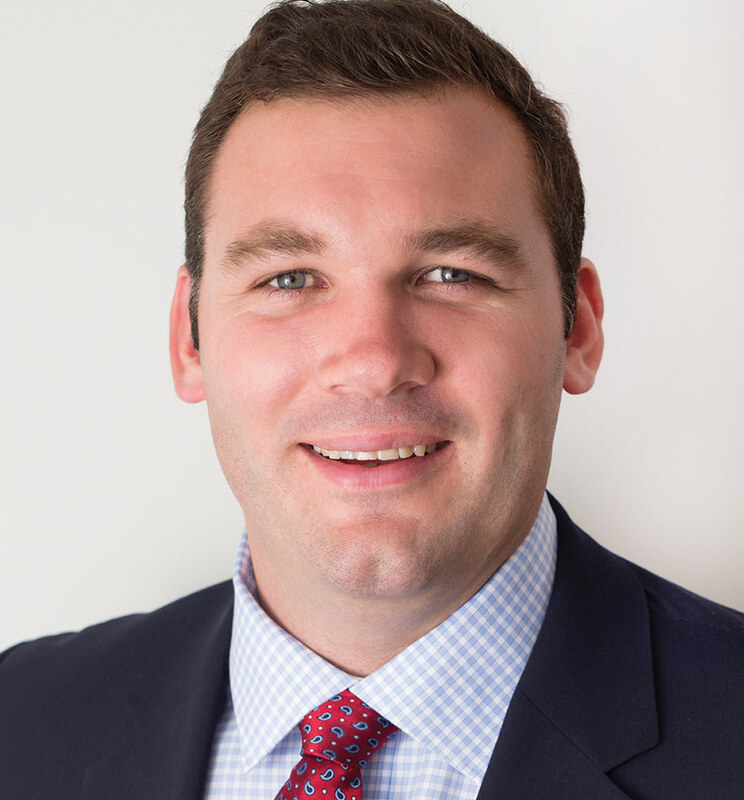 Former political staffer Paul Seear is Andrew Saxton’s leadership campaign manager. 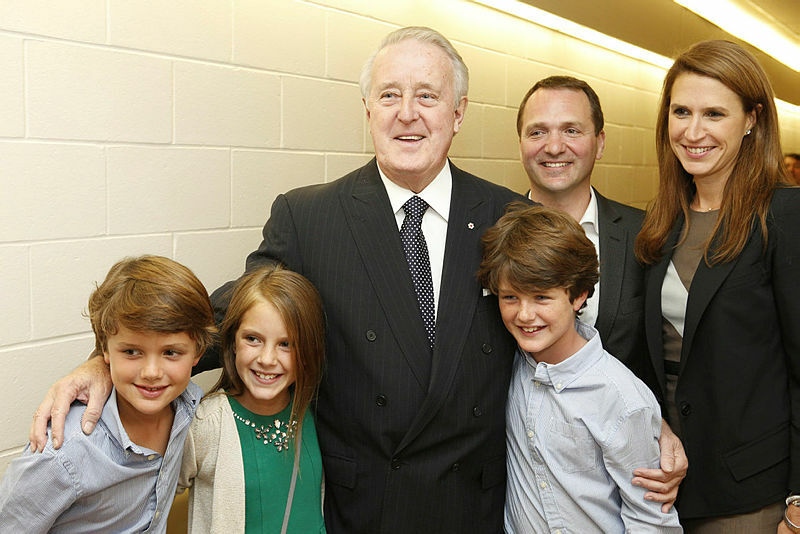 While not officially supporting anyone, Caroline Mulroney Lapham made a substantial donation to one candidate. 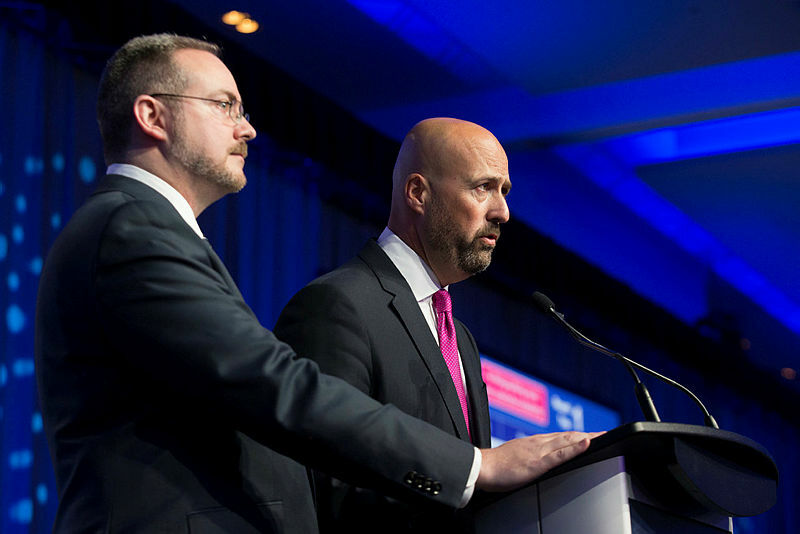 Campaign director Jeff Bridge and manager Serge Malaison are running Conservative leadership candidate Rick Peterson’s campaign. The party is seeing fewer donations while money from its donor pool is flowing towards leadership campaigns. 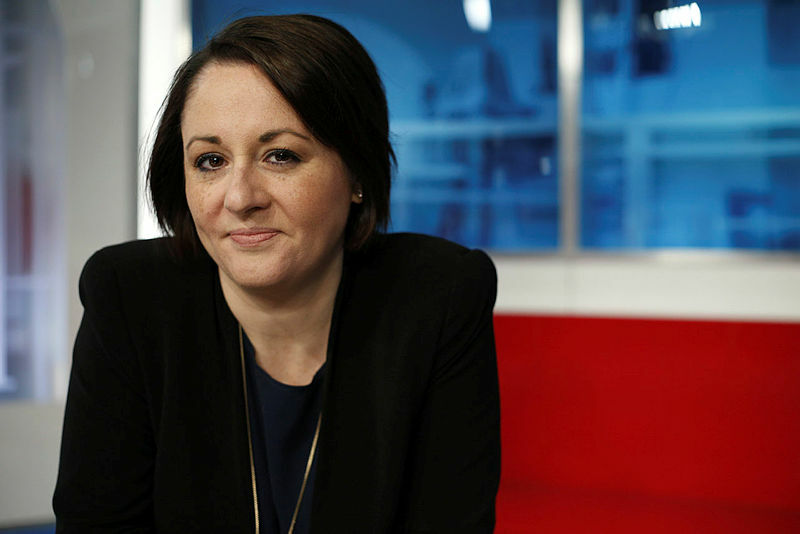 A new issues adviser has been hired in the Prime Minister’s Office. 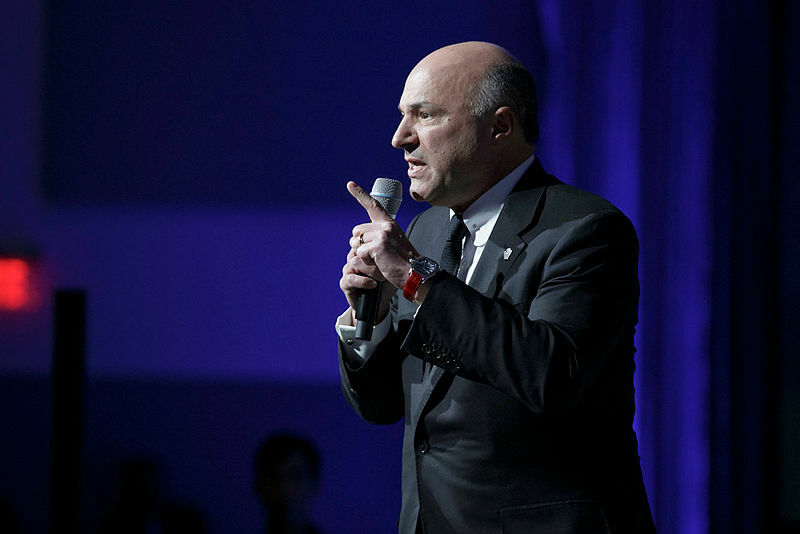 By setting herself against O’Leary, she risks inflating his would-be candidacy. But she’s also conscious that if she doesn’t take some risks she has zero chance of winning. Start talking to voters about them, not you. 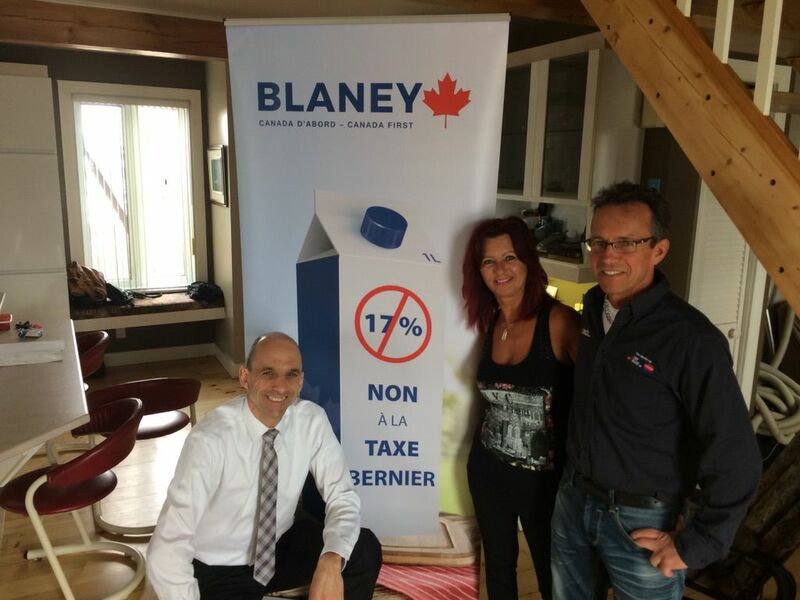 Maxime Bernier, pictured centre, and Steven Blaney, two candidates from Quebec, will have to start ‘throwing the odd bodycheck’ at each other, says former Canadian Alliance leader Stockwell Day. 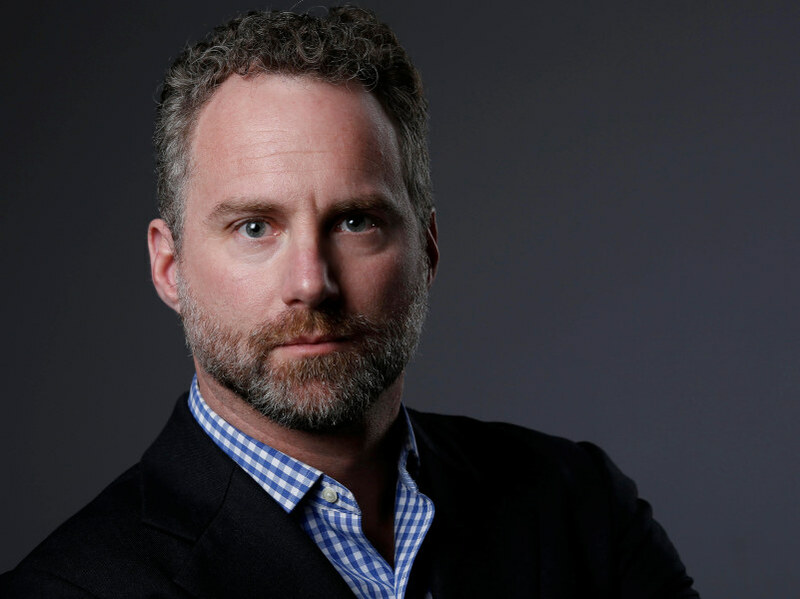 Former party director of political operations Fred DeLorey is Erin O’Toole’s campaign manager. 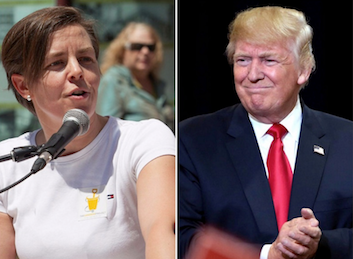 Can the same divisive rhetoric Trump employed resonate with more than a sliver of Canadian voters? Far-fetched, at best. 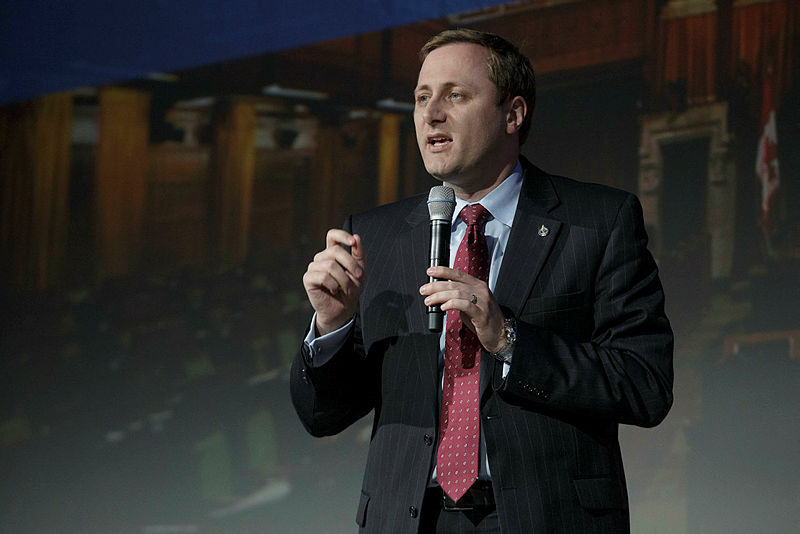 Trost is focused on social and cultural Conservatives in his bid to become Conservative Party leader. 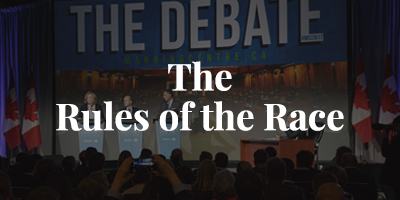 Candidates seek to distinguish themselves on issues including supply management and immigration. 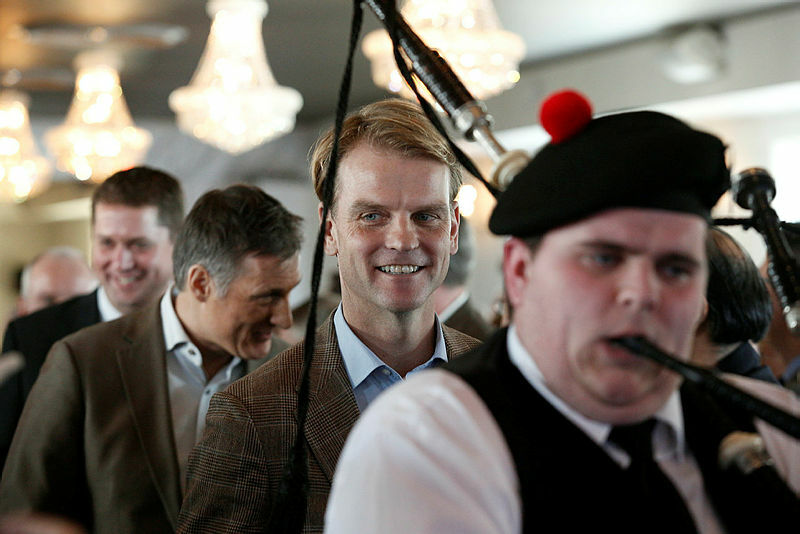 Hamish Marshall is campaign manager to Conservative leadership contender Andrew Scheer. 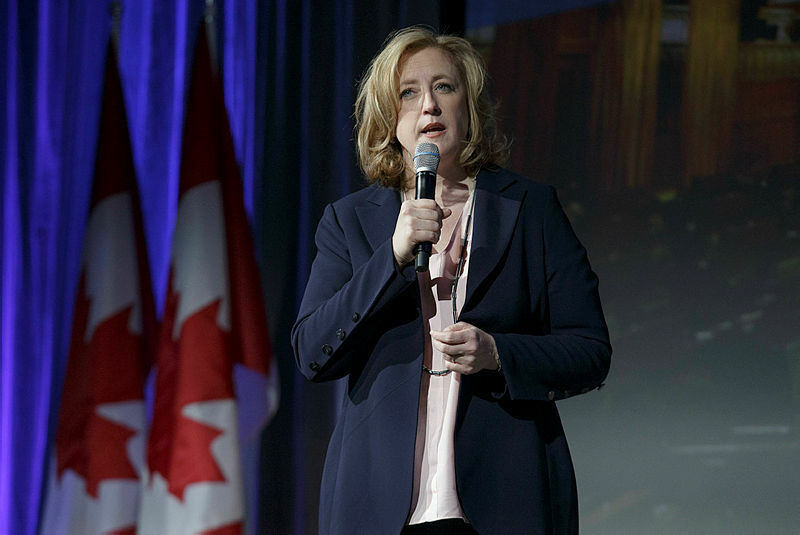 Lisa Raitt comes across as a relatable human being; some contestants in this race seem to fit the other extreme. 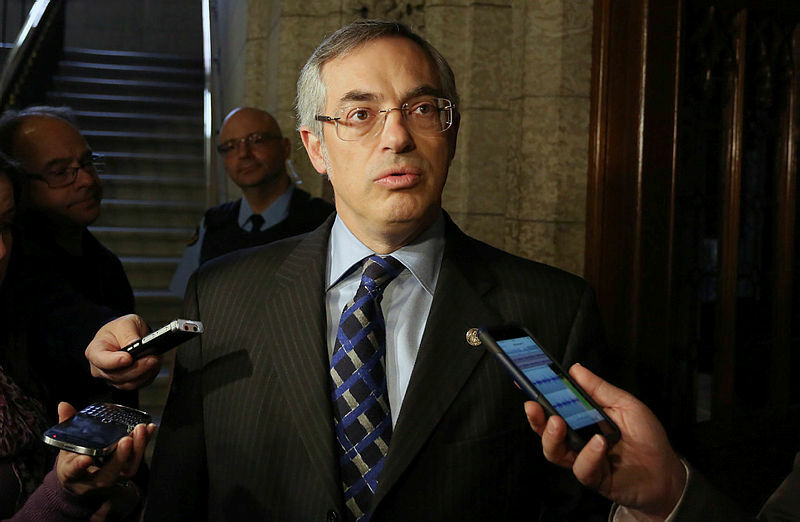 Ex-candidate Tony Clement says there is 'donor fatigue' in the party. 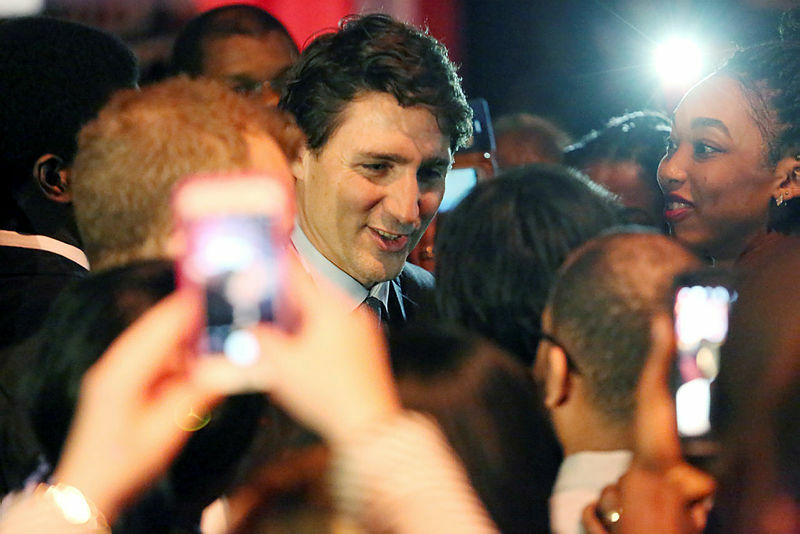 His actions during the last federal election campaign took the shine off his golden-boy reputation. 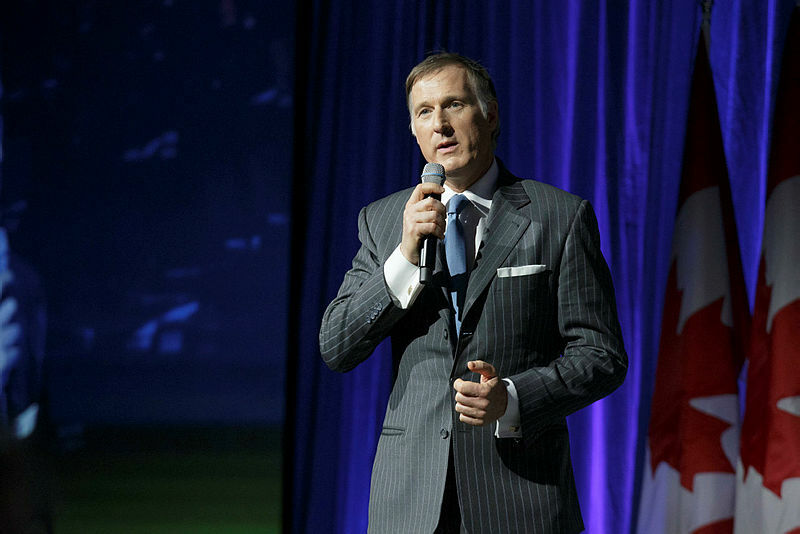 Conservative leadership candidate Maxime Bernier said his strategy is not affected by Peter MacKay’s decision not to run. 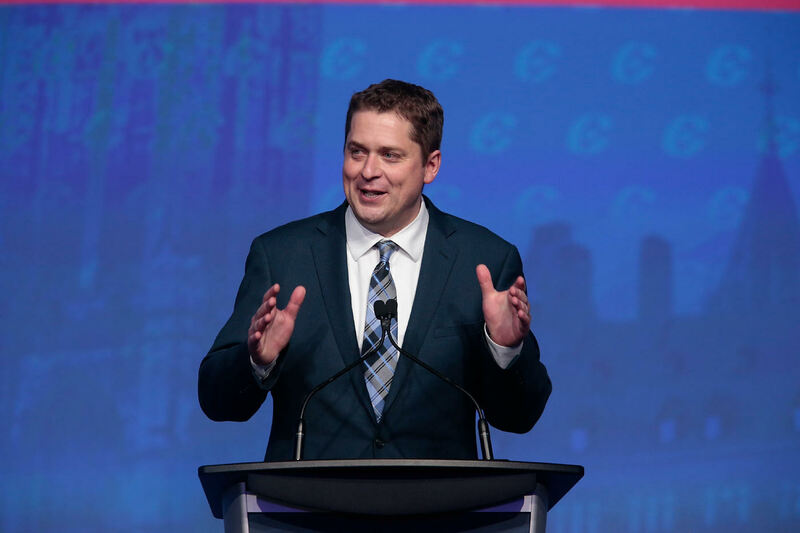 The Conservative leadership contender appears to have quoted from a Toronto Sun column quoting an extensive New York Times Magazine interview with Trudeau. 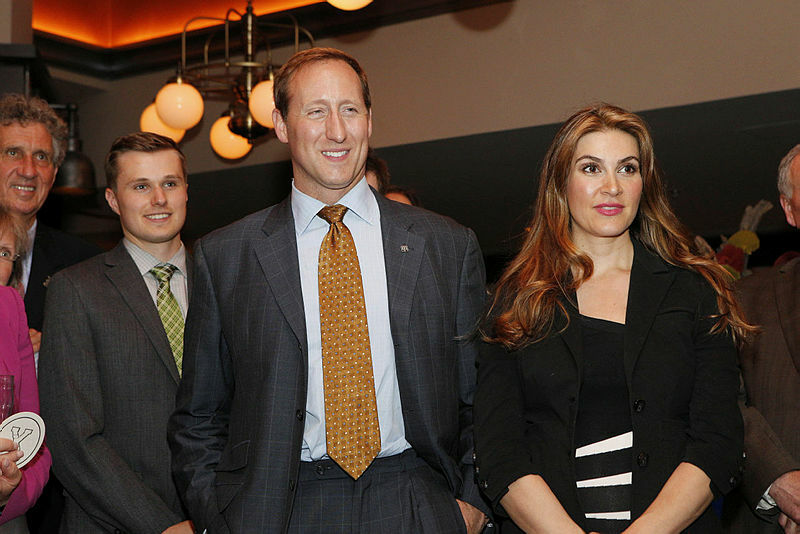 Though she’s not eligible to run, Rona Ambrose has strong support to continue leading the party: pollster Graves. 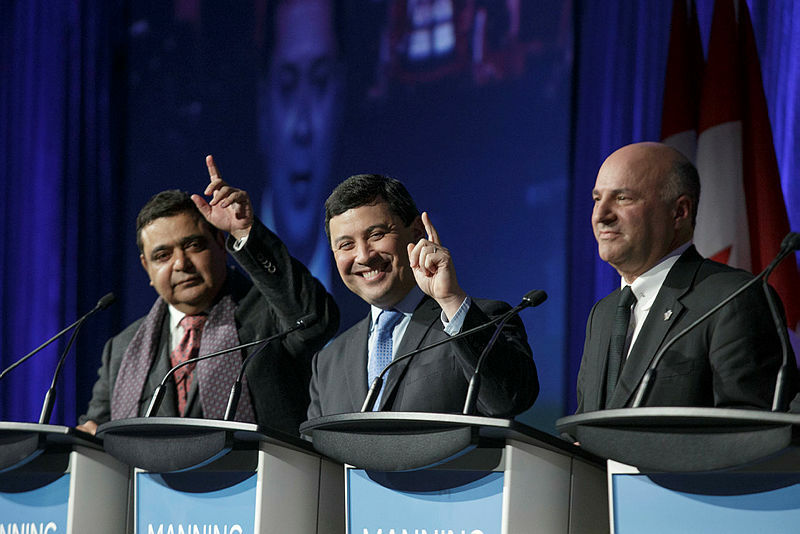 Hill Climbers has learned of a number of individuals behind Deepak Obhrai’s campaign, led by former Conservative MP Corneliu Chisu as manager. 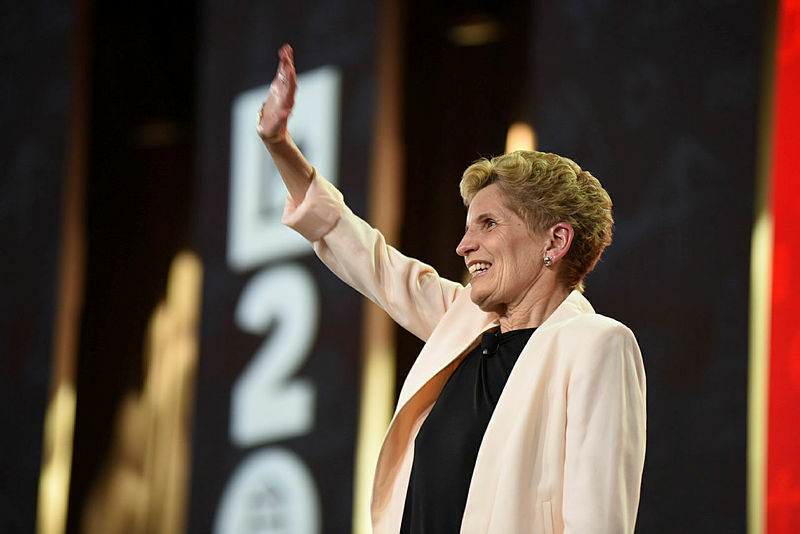 Good political leadership should not be about going to the bottom of the barrel to find votes. Kellie Leitch has filed her papers to run for Conservative Party leadership, and Hill Climbers has learned of a number of people behind her campaign. 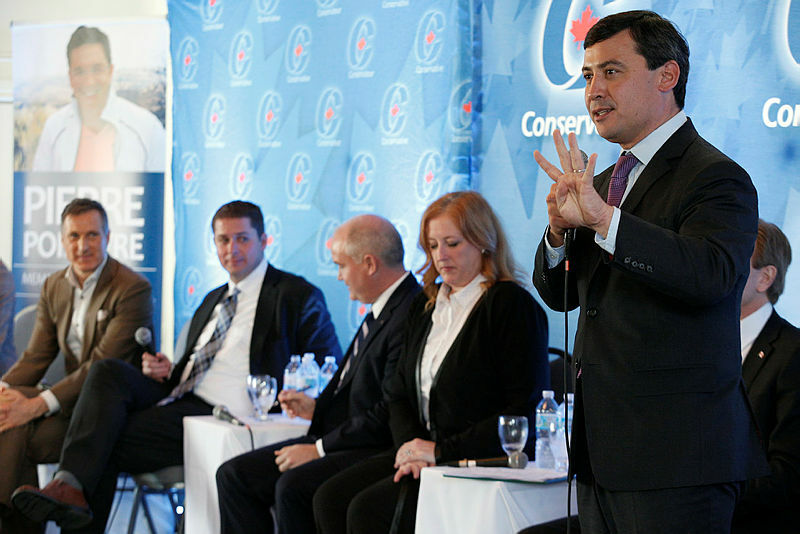 A handful of former Conservative Hill staff are helping out on Michael Chong’s bid to become the next Conservative Party Leader. 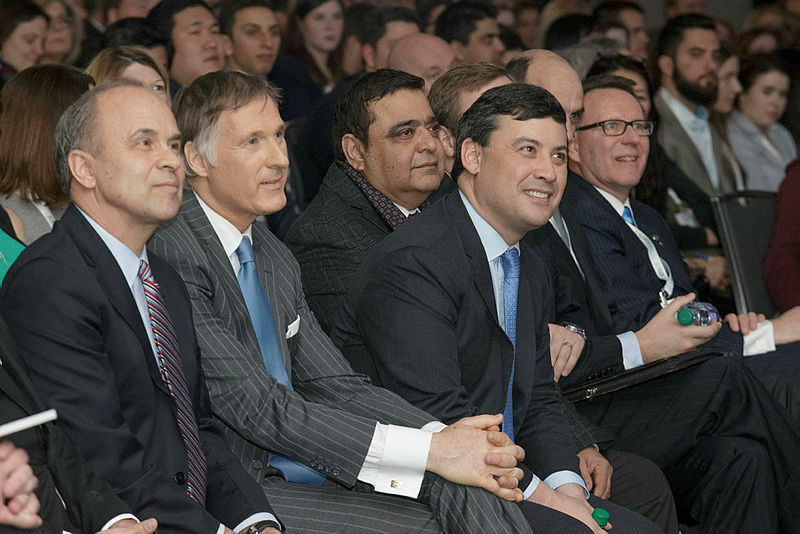 Team Bernier includes a number of former and well-known federal Conservative staffers playing senior roles.